This chronology provides a selected list of important dates and events in the history of the firm, noting partnerships, organizational changes, and changes in location. In addition, significant publications, and publishing series, are identified for each year--selected for the importance of the authors, from a literary standpoint and/or from their commercial benefit to the firm, for the subject, or for the publishing achievement itself, such as the number of volumes involved and the quantity of illustrations. For some titles, particularly early ones, only the copyright dates are available in the firm's records. 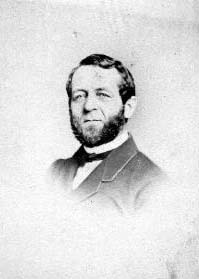 1846 January 1 Charles Scribner (CS I, photograph below) and Isaac D. Baker, a New York City dry goods merchant, open their publishing business, Baker & Scribner, in meeting rooms leased from the Brick Church Chapel, at the corner of Nassau Street and Park Row in New York City. Address: 145 Nassau Street (site of the old Times building). Annual rent: $600. 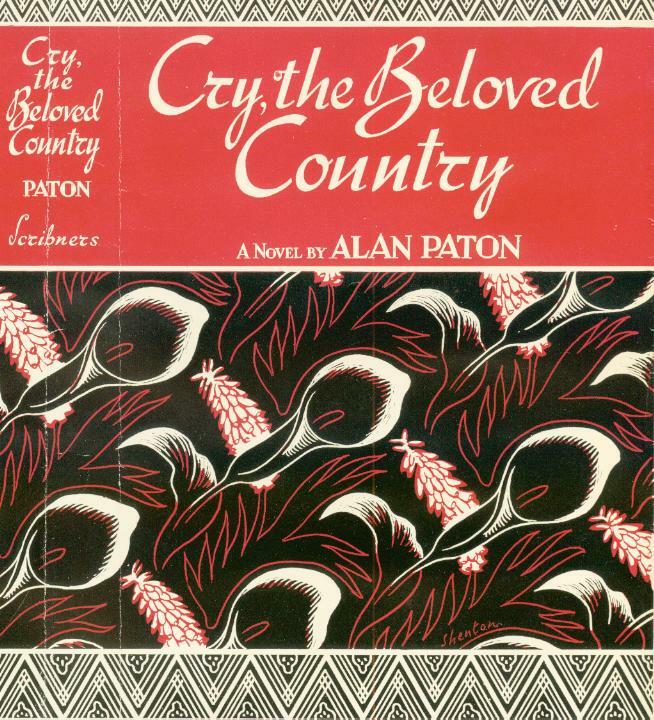 January 7 CS I and Baker sign contract with bookseller John S. Taylor to publish his books (i.e., to use his stereotype plates) at a set price per copy. June 1 Andrew C. Armstrong, who had been associated with James A. Sparks, publisher of The Churchman, joins the firm. 1848 June 13 CS I marries Emma Elizabeth Blair, daughter of John Insley Blair (photograph), who becomes one of the country's leading railroad capitalists. 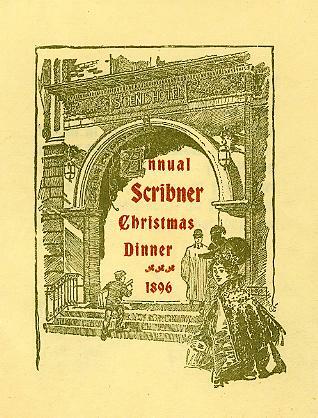 December 21 copyright date of Donald Grant Mitchell's first Scribner book, Battle Summer: Being Transcripts from Personal Observation in Paris, During the Year 1848, published under the pseudonym of "Ik Marvel"
1851 January 1 In consequence of the death of Baker, CS I assumes full responsibility for the firm; "Baker & Scribner" becomes "Charles Scribner & Co."
November 29 copyright date of Donald Grant Mitchell's Dream Life: A Fable of the Seasons, published under the pseudonym of "Ik Marvel"
March Impending sale of the Brick Church property forces Charles Scribner & Co. to relocate; firm moves to 377-379 Broadway. 1857 February 12 copyright date of Scampavias from Gibel Tarek to Stamboul by the American naval officer and author Henry Augustus Wise, published under his pseudonym of "Harry Gringo"
December 19 CS I takes Charles Welford, son of a London bookseller, as a partner (their respective shares are 2/3 and 1/3) to establish a separate company, Scribner & Welford, for the importing of foreign books. 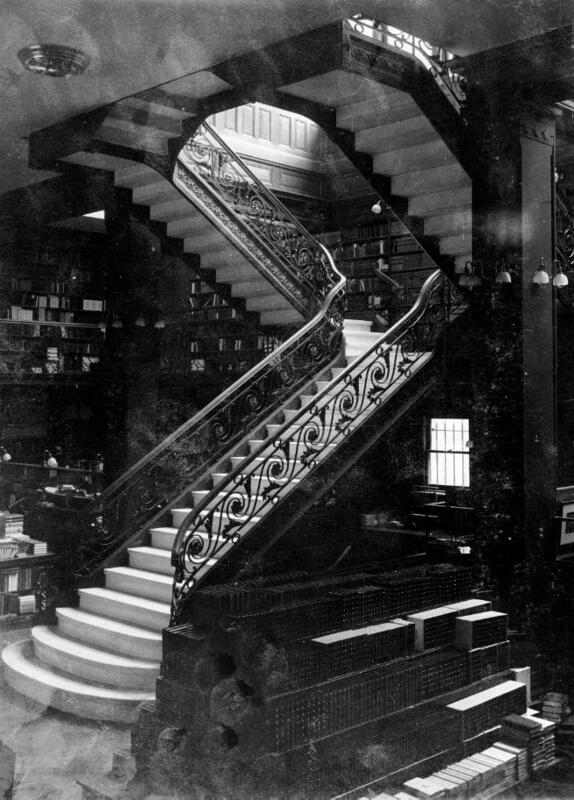 Located in the Scribner bookstore in New York City, the company also established a presence in London, England, when Welford moved there in 1864. 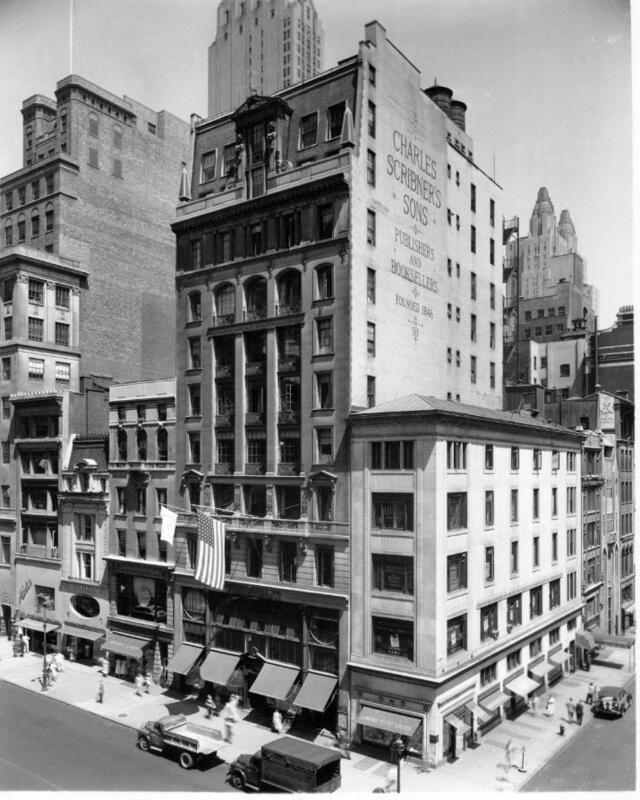 May Charles Scribner & Co. moves to the Brooks Building at 124 Grand Street (the corner of Broadway and Grand Street). July 1 copyright date of J. G. Holland's first Scribner book, Titcomb's Letters to Young People, Single and Married, published under the pseudonym of "Timothy Titcomb"
October 15 copyright date of J. G. Holland's Gold-Foil, Hammered from Popular Proverbs, published under the pseudonym of "Timothy Titcomb"
1864 Andrew C. Armstrong becomes a partner of the firm. Charles Welford moves to London, England, to superintend Scribner & Welford's purchasing of foreign books. 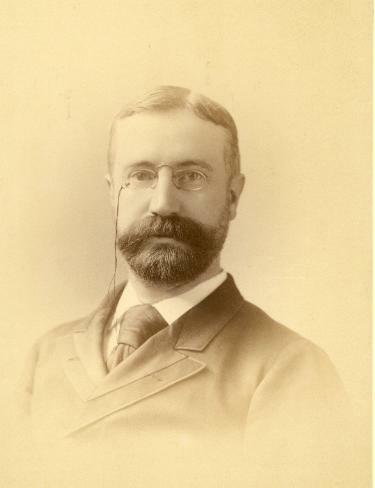 1865 Arthur J. Peabody, nephew of George Peabody, the philanthropist, joins the firm. 1866 April 4 CS I and Andrew C. Armstrong sign lease for first floor and basement of 654 Broadway, which will be their location for nine years (through 1 May 1875). 1867 April 27 copyright date of Public Debt of the United States: Its Organization, Its Liquidation, Administration of the Treasury, The Financial System by American abolitionist and banker James Sloan Gibbons, author of the famous Civil War song "We Are Coming, Father Abraham"
August 1 Edward Seymour, a New York Times editor and journalist, joins the firm to assume editorial duties. 1868 July 13 CS I, Andrew C. Armstrong, and Arthur J. Peabody sign lease for second, third, fourth, and fifth stories (i.e., the rest of the building) of 654 Broadway (through 1 May 1875). 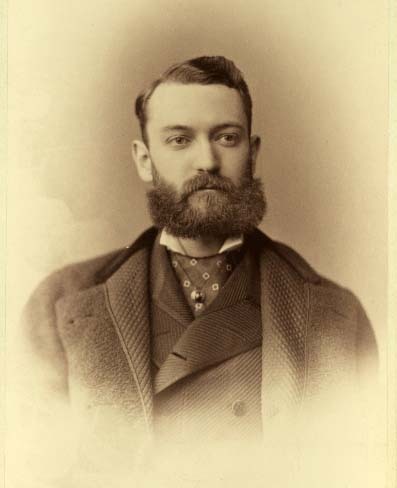 1869 March J. Blair Scribner, oldest son of CS I, begins work in the publishing firm. April 3 CS I, Andrew C. Armstrong, and Arthur J. Peabody sublet the third story of 654 Broadway for use as a "Velocipede Hall"--for the exhibition, exercise, and sale of velocipedes--for a term of one year. These early bicycles were probably models with iron-tired wooden rims and front wheels larger than the rear. 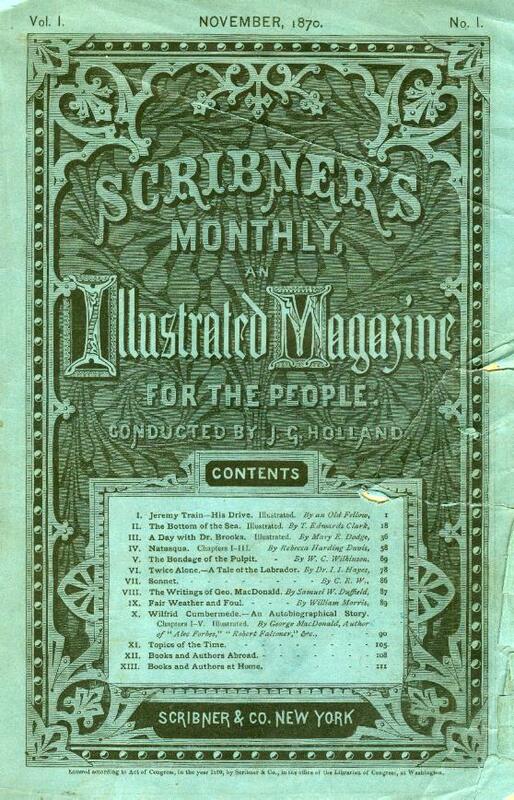 1870 July 19 CS I, Andrew C. Armstrong, Edward Seymour, Arthur J. Peabody, Josiah Gilbert Holland, and Roswell C. Smith form Scribner & Co. to publish the periodical Scribner's Monthly. 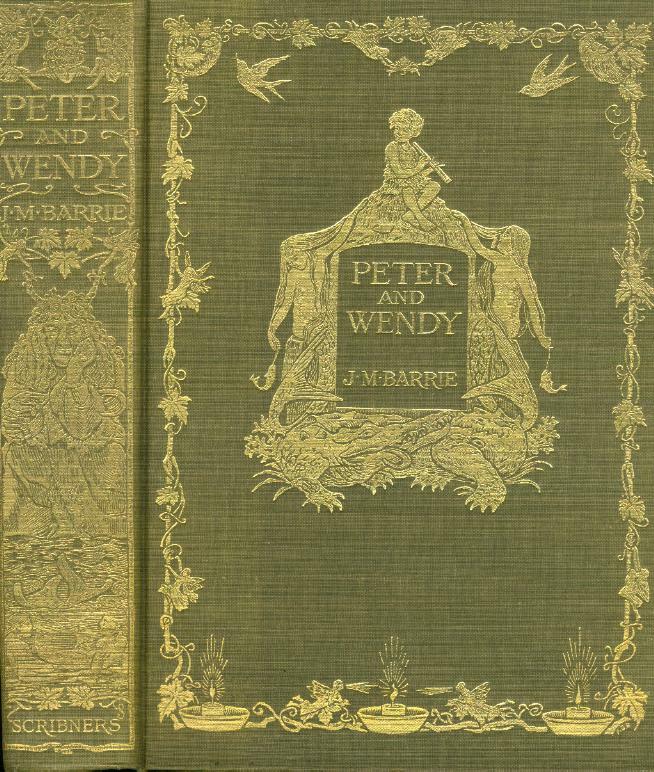 1872 February Arthur J. Peabody sells his interest in Charles Scribner & Co.
February 10 Andrew C. Armstrong, John Blair Scribner, and Edward Seymour form publishing partnership to be known as "Scribner, Armstrong & Co." (the respective shares are 40%, 40%, and 20%). February 10 Charles Welford, Andrew C. Armstrong, and John Blair Scribner form partnership to be known as "Scribner, Welford & Armstrong" to continue the importation of books for a period of six years from 1 February 1872 (their respective shares are 1/3, 1/3, and 1/3). February 10 Andrew C. Armstrong and John Blair Scribner sign agreement with Edward Seymour, paying him a salary equal to one-eighth of their share of the profits in Scribner, Welford & Armstrong for services he renders to the company. October The firm organizes a subscription department. 1873 April 7 Mary Mapes Dodge begins at Scribner & Co. as editor of its new children's magazine, St. Nicholas. April 10 John Blair Scribner purchases his grandfather's (i.e., John Insley Blair's) interest in Charles Scribner & Co. and Scribner & Welford. August 26 publication date of The Era of the Protestant Revolution by Frederic Seebohm and The Crusades by G. W. Cox, the first two titles in the "Epochs of History" series, which grew to 29 works by 1889, divided in two groups: "Epochs of Modern History" and "Epochs of Ancient History"
December 1 Andrew C. Armstrong, John Blair Scribner, and Edward Seymour sign lease for first floor and basement of 743 & 745 Broadway (they take possession on 10 Jan. 1875 though lease begins on May 1 and runs through 1 May 1880), which will be their location for 19 years (through 1 May 1894). June Charles Scribner (CS II) graduates from Princeton and joins his brother John Blair in the firm. 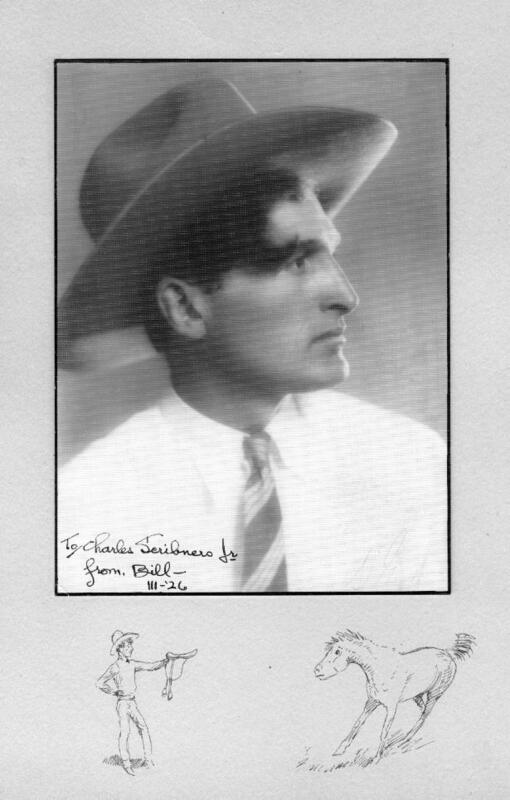 December Frank Nelson Doubleday, at the age of fourteen, is hired before Christmas to work carrying books from the bindery to the packing-room, and leaves twenty years later as business manager of Scribner's Magazine. 1878 Scribners begins publication of the "authorized" American edition of the Encyclopædia Britannica (ninth ed.). The concluding, index volume (vol. 25) comes in 1889. February 21 Andrew C. Armstrong and John Blair Scribner purchase Seymour's interest in Scribner, Armstrong & Co. and Scribner & Co. from his estate. June 11 Andrew C. Armstrong retires--sells his share of Scribner, Armstrong & Co. to J. Blair Scribner; sells his share of Scribner, Welford & Armstrong to J. Blair Scribner and Charles Welford--to head his own publishing firm, A. C. Armstrong & Son. Firm names change: Scribner, Armstrong & Co. becomes "Charles Scribner's Sons"; Scribner, Welford & Armstrong becomes "Scribner & Welford". July Charles Welford establishes an office in London, England, to superintend Scribner & Welford's purchasing of foreign books. July 18 The first title to bear the "Charles Scribner's Sons" imprint is published: Saxe Holm's Stories (Second Series) by Helen Hunt Jackson ("Saxe Holm"). March Edward L. Burlingame, a journalist and editor, son of a U.S. minister to China, joins the firm as a literary adviser. April 11 CS II signs a renegotiated lease (less costly) for first floor and basement of building at 743 & 745 Broadway for period from 1 May 1880 through 1 May 1883. April 25 Charles Welford and CS II form copartnership under the firm name of "Scribner & Welford" to continue the business of importing books for a period of seven years from May 1. 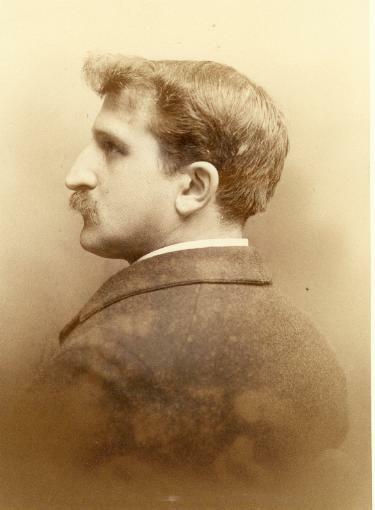 June Arthur Hawley Scribner graduates from Princeton and joins his brother Charles in the family publishing firm. October 12 publication of Criteria of Diverse Kinds of Truth as Opposed to Agnosticism, Being a Treatise on Applied Logic by James McCosh, president of Princeton, the first number (of 8) in his "Philosophic Series"
December. 1 CS II signs lease for the whole building at 743 & 745 Broadway for the period from 1 May 1883 through 1 May 1886, allowing him to sublet any unused space. Over the years space is rented to a millinery and straw-goods business, to the Delta Chapter of New York University as a meeting place, to The Magazine of American History, to the publishers Ginn and Company, and to the publishers the Critic Company. 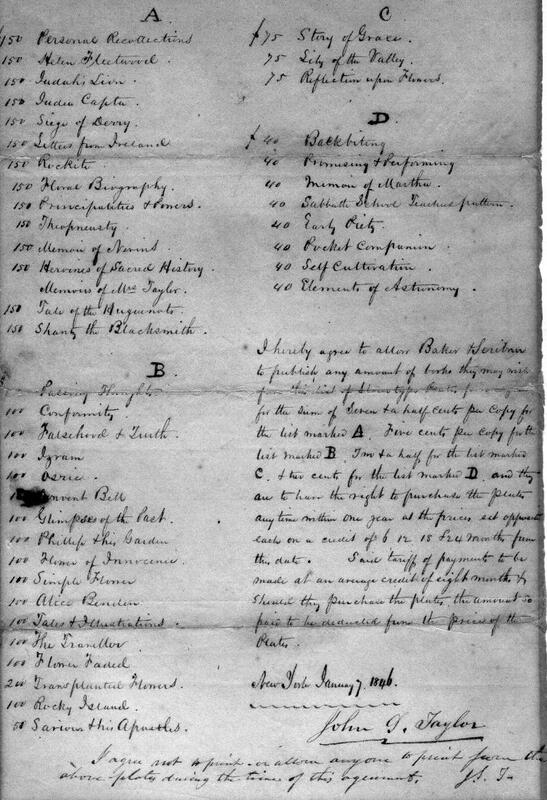 1883 June 1 Charles Scribner's Sons sells its school textbook list (Sheldon's readers, Guyot's geographies, Cooley's physical sciences, Tenney's natural histories, Felter's arithmetics, etc.) 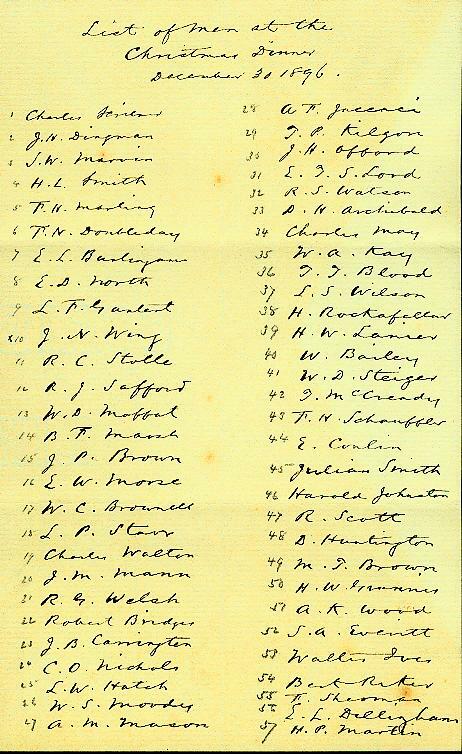 to Ivison, Blakeman, Taylor & Co.
October 21 CS II purchases Welford's share of Scribner & Welford from his estate. January 26 CS II and Arthur H. Scribner sign lease for the whole building at 743 & 745 Broadway for the period from 1 May 1886 through 1 May 1889, allowing them to sublet any unused space. 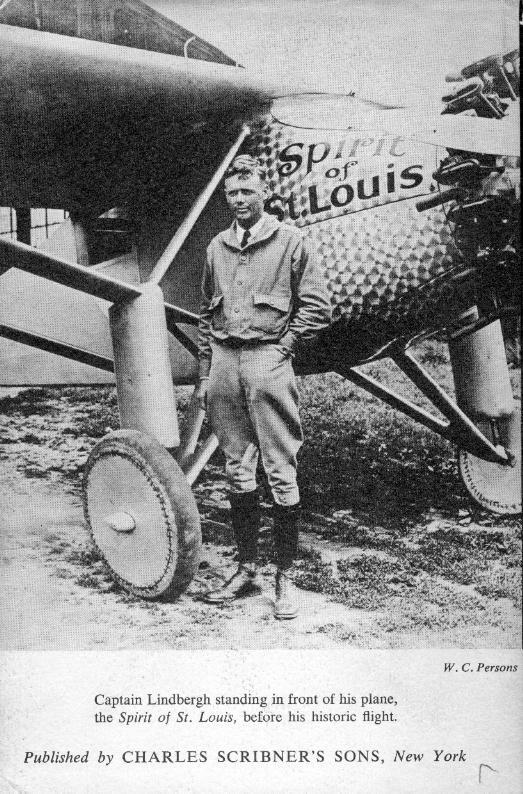 April 13 CS II and Arthur H. Scribner obtain certificate allowing them to continue to use the "Scribner & Welford" name. September 20 CS II and Arthur H. Scribner sign lease for the whole building at 743 and 745 Broadway for the period from 1 May 1889 through 1 May 1892, allowing them to sublet any unused space. July Edwin Wilson Morse, music critic and journalist, joins the firm as editor of The Book Buyer. 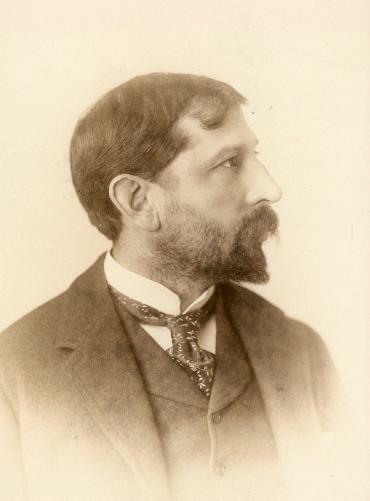 From 1894 to 1904, he works as an editor in the trade department; from 1904 to 1910, he serves as secretary and a director of Charles Scribner's Sons, Inc.
1888 January W. C. Brownell, a journalist and critic who had worked for the New York World, The Nation, and the Philadelphia Press, joins the firm as a literary adviser and book editor. 1891 January 31 Scribner & Welford is subsumed under the name "Charles Scribner's Sons"; hence, all business is now conducted under the one name. 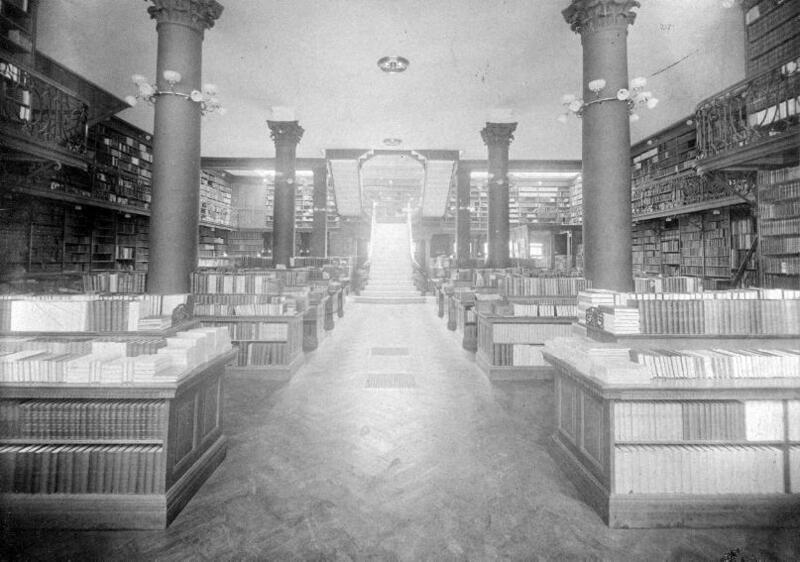 March 4 As a member of the Joint Committee of the American Copyright League and the American Publishers' Copyright League, CS II has significant role in getting the International Copyright Bill passed this day in Washington, D.C.
June 15 The lease for the building at 743 & 745 Broadway is renewed for two years, covering the period from 1 May 1892 through 1 May 1894. 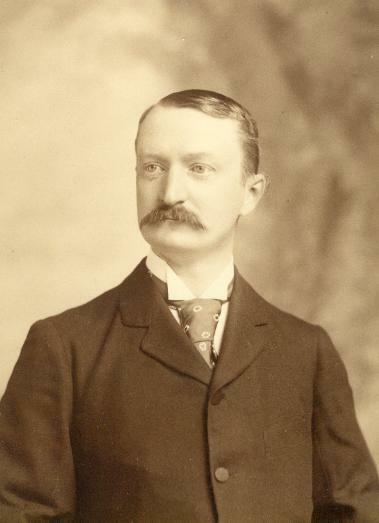 1893 Edward Thomas Lord, New England agent for D. C. Heath & Co., joins firm to start up a new educational department. April 14 Court decision protects the Scribner edition of the Encyclopædia Britannica (ninth ed.) against unauthorized reprints. 1894 May Charles Scribner's Sons moves to 153-157 Fifth Avenue into a building designed by Ernest Flagg, brother-in-law of CS II. 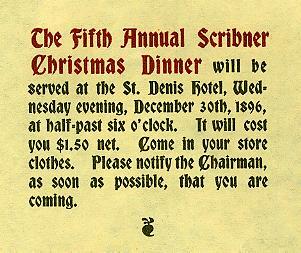 December 30 At their Fifth Annual Christmas Dinner, the employees and staff of Charles Scribner's Sons celebrate the 50th anniversary of the firm at the St. Denis Hotel in New York City. 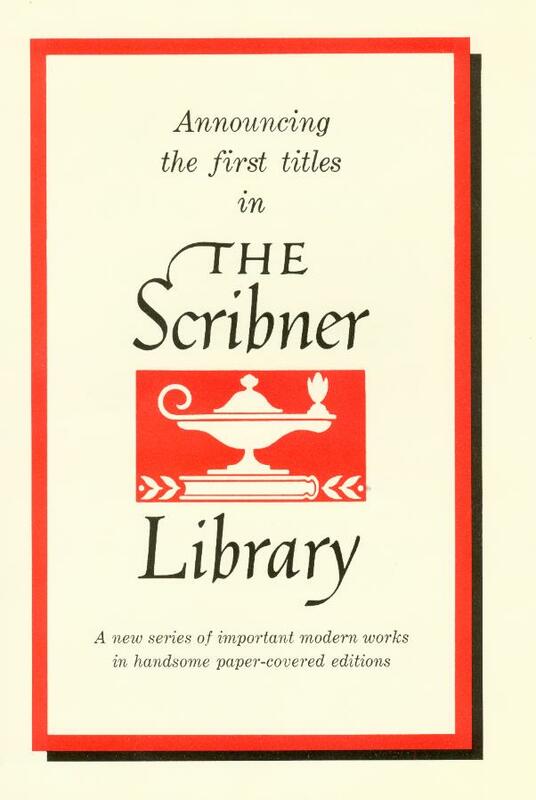 March 1 Joseph Hawley Chapin, art editor for McClure Publications, joins Scribners as art editor, a position he will hold till 1936. March 2 Frank Nelson Doubleday leaves Scribners to begin his own business, Doubleday & McClure Company. July 25 The American Publishers' Association forms with CS II as its first president. 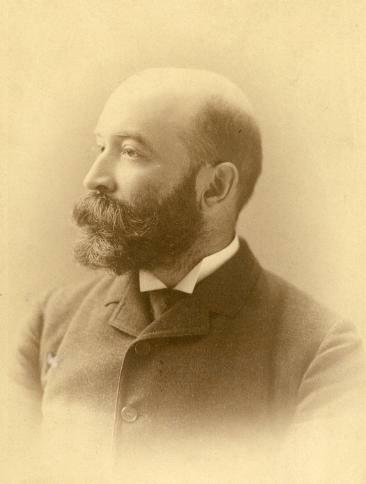 March 12 CS II and Arthur H. Scribner form copartnership (3/4 and 1/4, respectively) to continue the publishing business and determine to carry on all future business under the name and style of "Charles Scribner's Sons." June 22 publication date of the first three volumes (of 23) in the "Yale Bicentennial" series, "issued in connection with the Bicentennial Anniversary, as a partial indication of the character of the studies in which the University teachers are engaged"
March 31 CS II and Arthur H. Scribner modify their articles of copartnership, changing their respective proportions to 3/5 and 2/5. 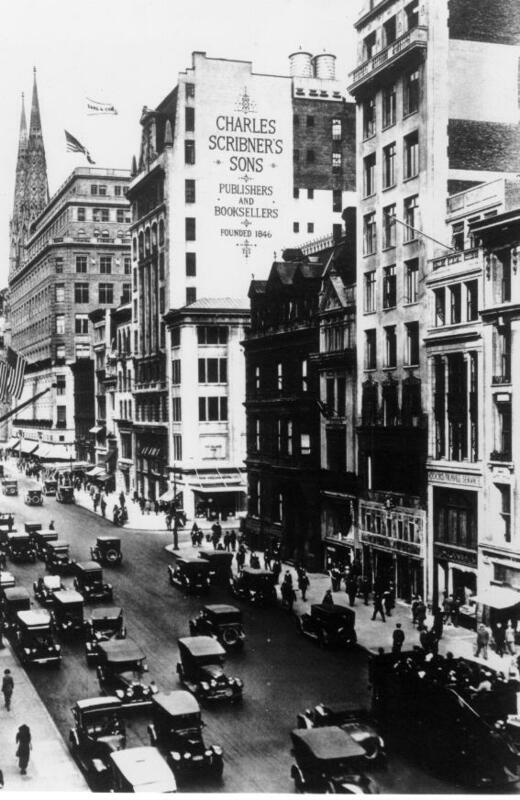 July The Scribner Press begins operation on Pearl Street in New York City, primarily for the printing of Scribner's Magazine. 1904 January 25 CS II, Arthur H. Scribner, Edward L. Burlingame, Henry L. Smith, and Edwin W. Morse form a corporation under N.J. law called "Charles Scribner's Sons, Inc.," each receiving shares of stock in the corporation (1198, 799, 1, 1, and 1, respectively). 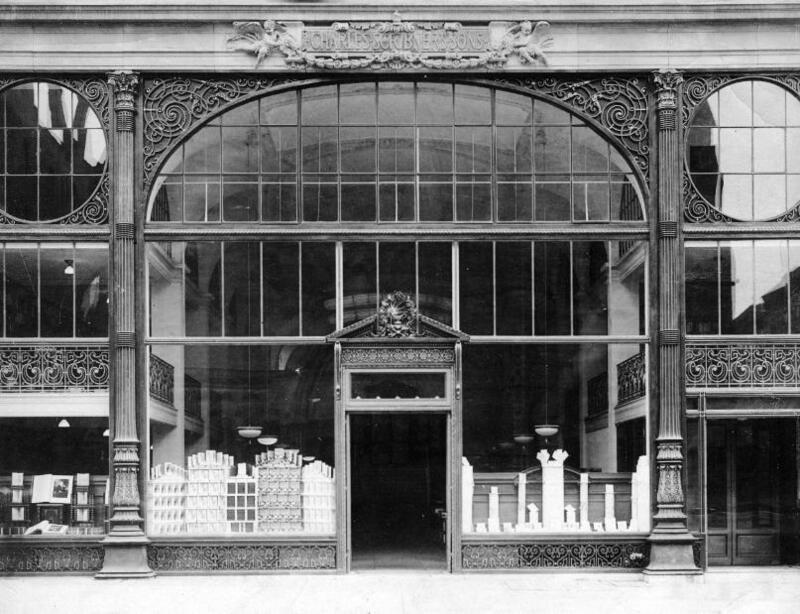 February 1 CS II and Arthur H. Scribner sell their copartnership to Charles Scribner's Sons, Inc.
1905 January Scribners brings a lawsuit against R. H. Macy & Company, the New York City department store, charging infringement of copyright by cutting prices on its copyrighted books--one of similar cases, all involving the American Publishers' Association's attempt to end discounting of members' books. June 5 CS II and Arthur Hawley Scribner purchase property at 311-319 West 43rd St. for future printing plant; the closing takes place on September 5th. October Princeton University Press incorporates with CS II as president. Located in Princeton, N.J., the company re-organizes as a non-profit corporation in 1910. 1907 April The Scribner Building at 311-319 West 43rd Street is ready for occupancy. 1908 June 1 The Supreme Court, in the Scribner/Macy suit, rules against the right of the publisher "to restrain the selling at retail of books copyrighted under the laws of the United States, at prices less than those fixed by complainants, and the buying of such copyrighted books except under the rules and regulations of the American Publishers' Association." Other legal aspects of the "Macy cases" are argued till the Court's ruling of 1 December 1913: copyright is not exempt from the provision of the Sherman Anti-Trust Law against monopoly. 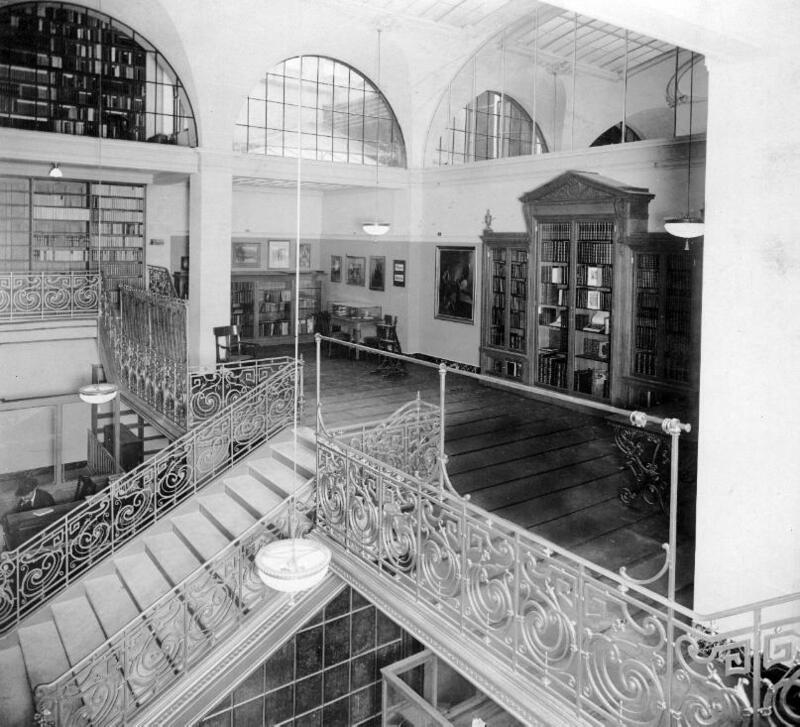 July 29 An early morning fire heavily damages the 3rd and 4th floor offices (home of Scribner's Magazine and the Subscription Dept.) 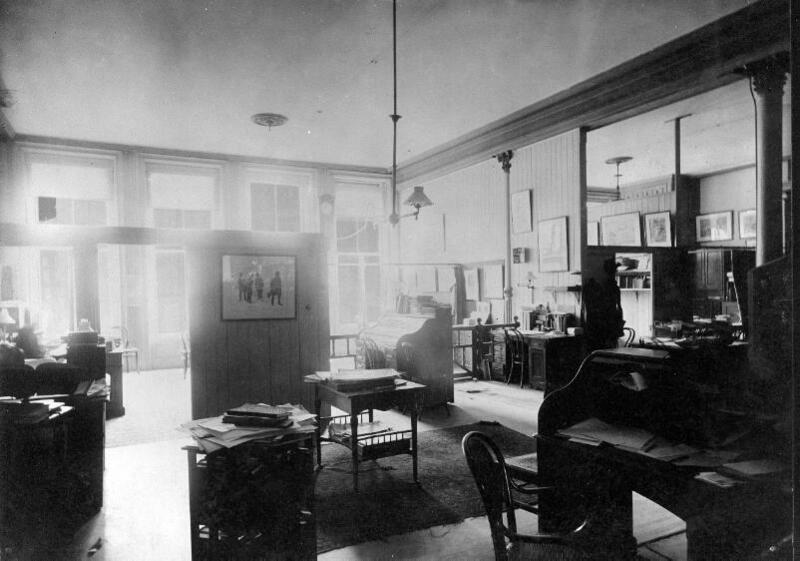 in the firm's headquarters building at 153-157 Fifth Avenue. October This month's issue of Scribner's Magazine, containing the first of Theodore Roosevelt's African hunting articles, reaches a circulation of 215,000 copies, the largest reached to date by a high-priced magazine. 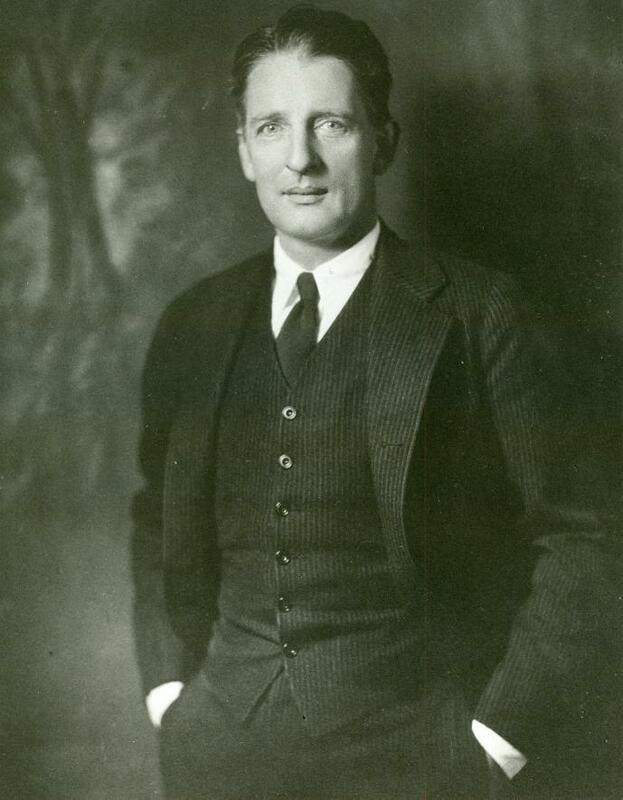 1910 February Maxwell Perkins starts his career with the firm as Scribners' advertising manager. 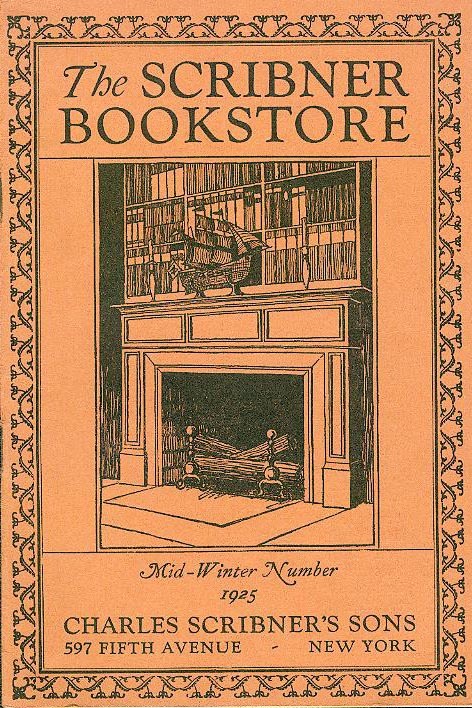 1911 John Hall Wheelock, a promising poet, begins work at Scribners as a bookstore employee. He becomes an editor in 1926 and retires in 1957 as editor-in-chief. October Princeton University Press moves into its new $125,000 building at 41 William Street in Princeton, N.J., erected and equipped with funds provided by CS II. 1912 February 17 CS II signs contract to purchase 597-599 Fifth Avenue for new building site; he closes the purchase on March 15th. March 11 At a special meeting, stockholders of Charles Scribner's Sons, Inc., approved the proposal by its board of directors to to drop the term Incorporated from the firm's name. May Charles Scribner's Sons moves to 597-599 Fifth Avenue into a building again designed by Ernest Flagg, CS II's brother-in-law. July 14 Charles Scribner (CS III), having graduated from Princeton in June, joins his father and uncle in the family publishing firm. 1914 Maxwell Perkins becomes an editor. May Edward L. Burlingame retires; Robert Bridges (photograph) takes over the editorship of Scribner's Magazine. July 17 CS II pays $140,000 to settle Macy lawsuit over the store's right to sell copyrighted books at any price it wants. 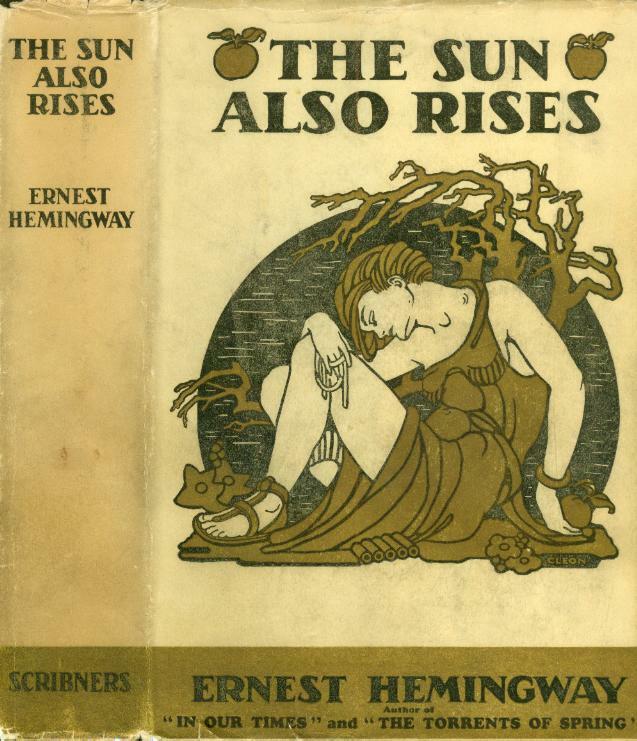 1916 January 22 publication date of The Book of the Homeless, edited by Edith Wharton. 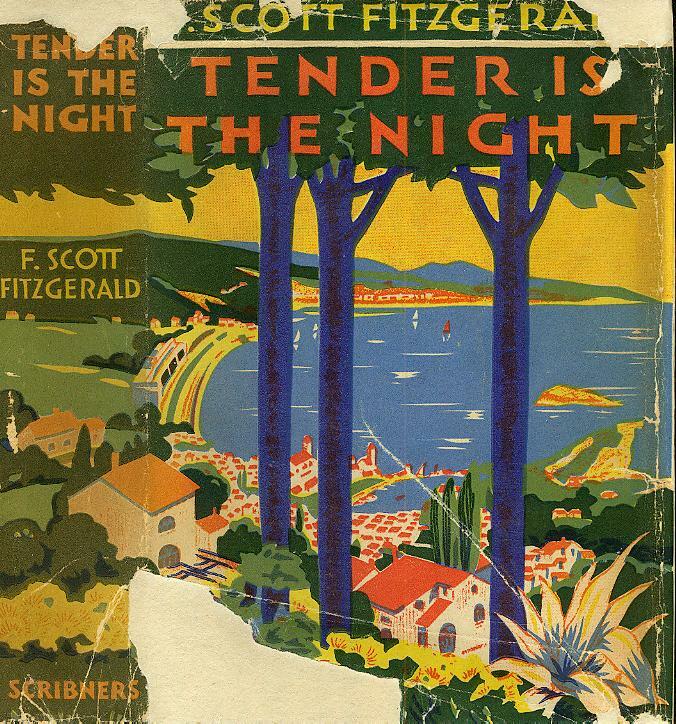 Scribners' profits from this volume of original and unpublished poetry, prose, and artwork, donated by well-known authors and artists, supports Wharton's World War I refugee work in France. June 6 Scribners purchases Forbes & Co., the publisher of Architecture magazine; the August issue is the first bearing the Scribner imprint. June (end) Whitney Darrow, manager of the Princeton University Press, becomes the book advertising manager at Scribners. 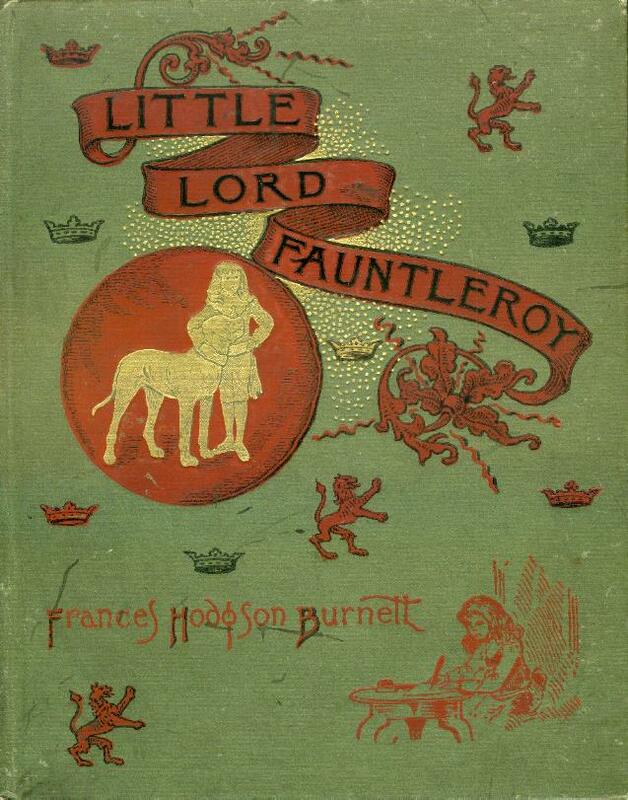 1919 September Charles Kingsley arrives in London to become Scribners' English representative, succeeding Lemuel W. Bangs. 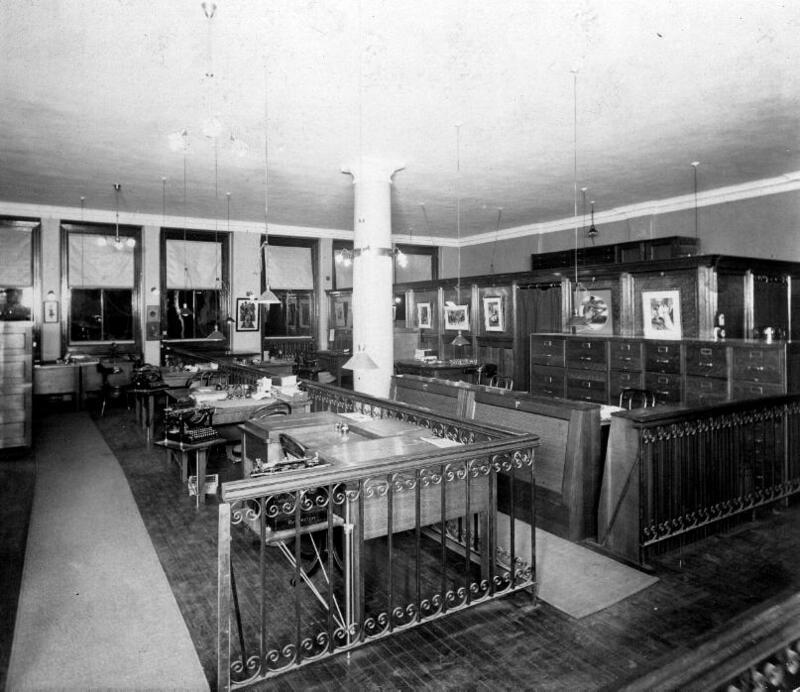 1924 February Third floor offices (Subscription, Magazine Circulation, Supply, and Mail Order Depts.) 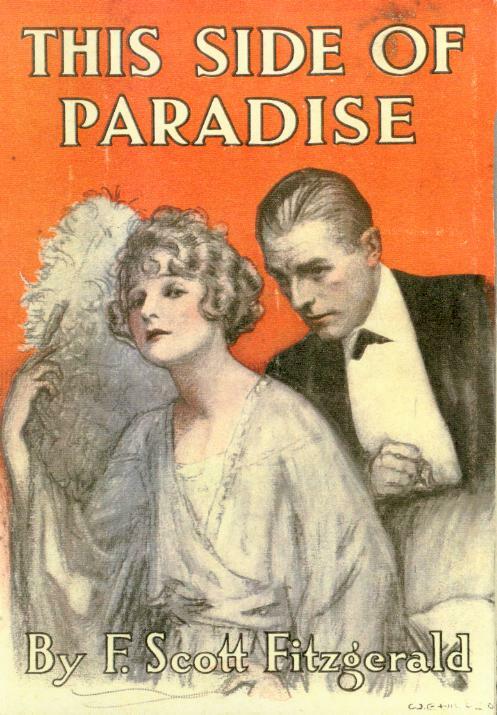 at 597-599 Fifth Ave. move to the tenth floor of the Scribner Building at 311-319 West 43rd St.
October 8 publication date of Willard Huntington Wright's first Scribner book, The Benson Murder Case, published under the pseudonym of "S. S. Van Dine"
1927 June 3 Scribners signs contract with the American Council of Learned Societies to publish the multi-volume Dictionary of American Biography. September John Carter assumes responsibility for Scribners' London rare book business. 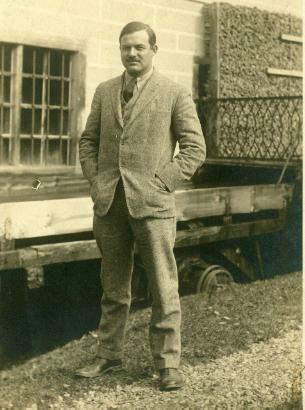 1928 George McKay Schieffelin, eldest grandson of CS II, becomes assistant treasurer, moving to the firm from the Scribner Press, where he had been assistant to the manager. Over the next fifty-four years--the longest tenure of any Scribner family member--he will assume greater management responsibilities: 1936, treasurer; 1953, senior vice-president; 1963, executive vice-president; 1970, chairman of the board; 1978, director of Scribner Book Companies. Arthur Hawley Scribner assumes presidency of Scribners when CS II "retires" to become chairman of the board. 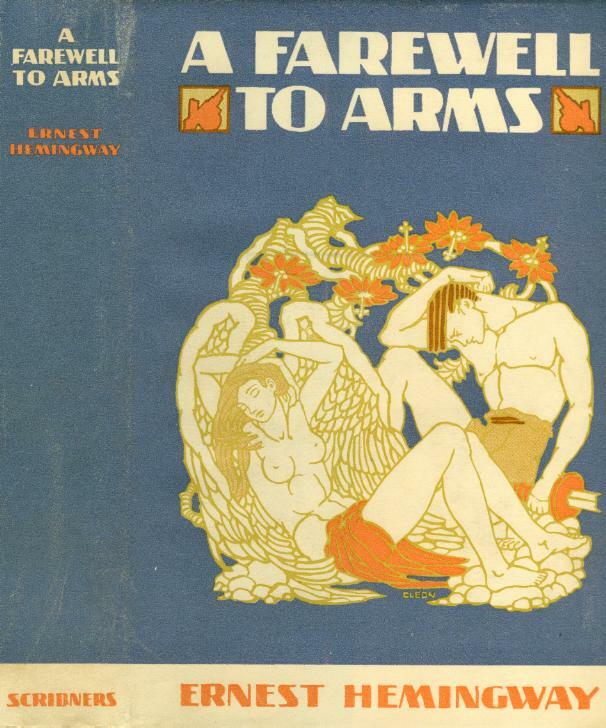 June Boston bans this month's issue of Scribner's Magazine, which begins the serialization of Ernest Hemingway's novel A Farewell to Arms, on complaints that his fiction is "salacious." July's issue is treated similarly. 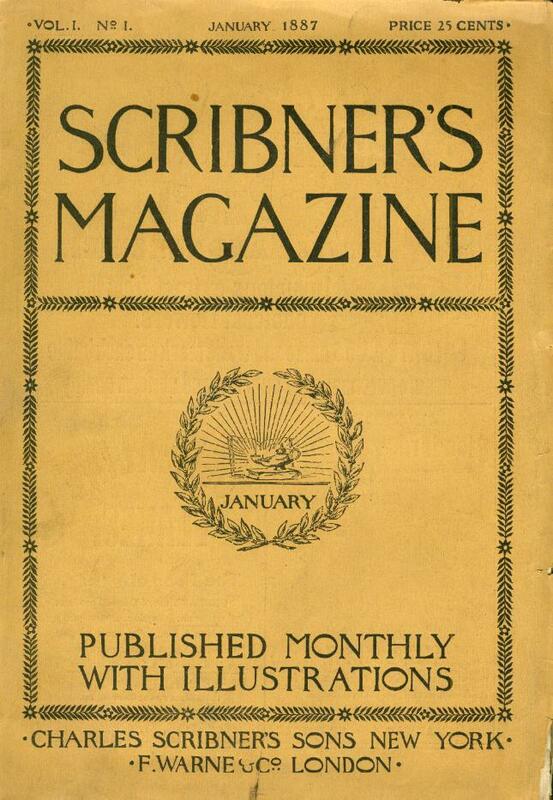 1930 February Robert Bridges retires as editor of Scribner's Magazine to become a literary adviser to the firm. Associate editor, Alfred S. Dashiell, becomes "managing editor" (new title) of the magazine. April Scribner's Magazine announces in this issue the offer of a prize of $5,000 for the best "long" short story (between 15,000 and 35,000 words) submitted by an American author by September 20th--won by John Peale Bishop's "Many Thousands Gone." September Scribners' London office, having outgrown its quarters in Regent Street, moves to 23 Bedford Square, the new publishing center of the city, a block or two from the British Museum. 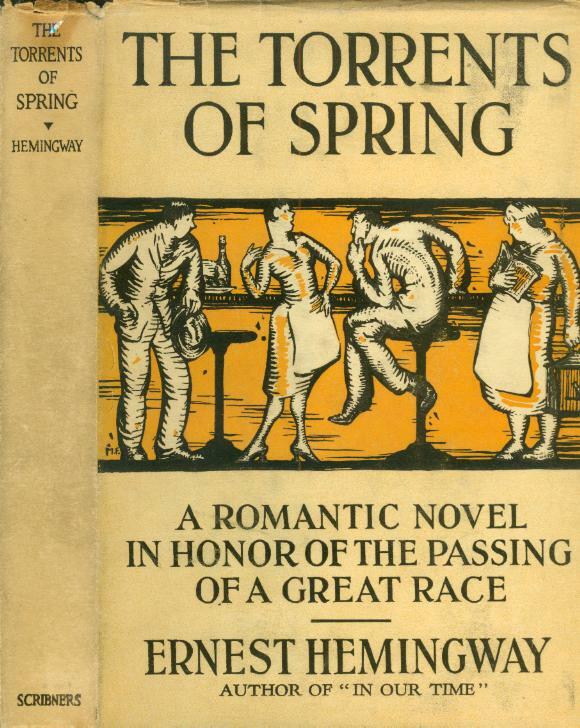 1931 August Scribner's Magazine announces another $5,000 prize for the best long story/short novel (between 15,000 and 30,000 words) submitted by American writers by 1 February 1932. 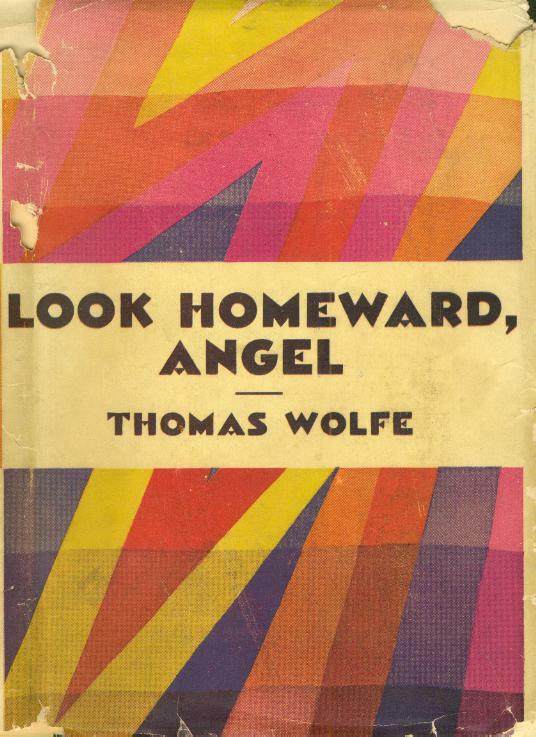 Co-winners are Thomas Wolfe ("A Portrait of Bascom Hawke") and John Herrmann ("The Big Short Trip"). September 26 CS III is elected president of Scribners. November 10 John Galsworthy wins the 1932 Nobel Prize for Literature. 1934 Alice Dalgliesh, a popular author of children's books and a former elementary school teacher, becomes the firm's children's book editor, a position she will hold till her retirement in 1960. 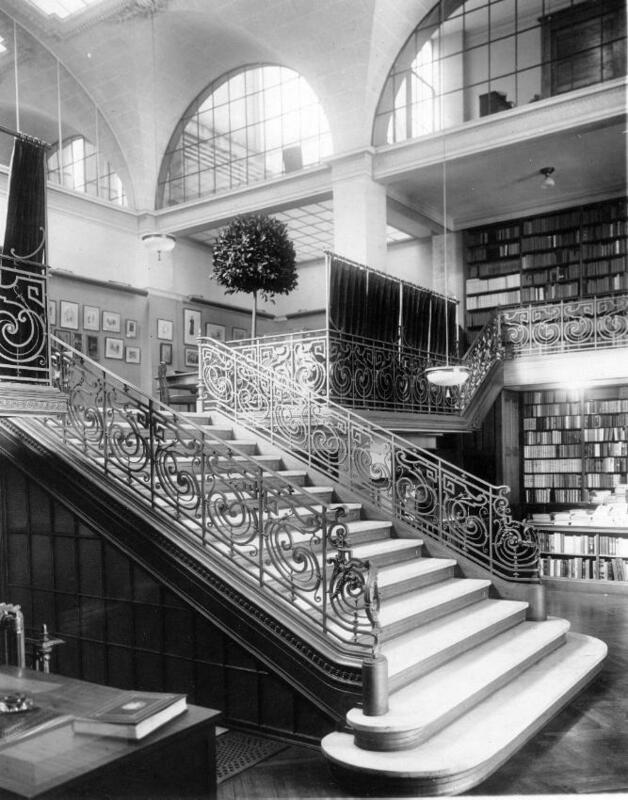 1935 March David A. Randall becomes manager of Scribners' Rare Book Department. May Architecture magazine's last issue. Merging with American Architect, it forms American Architect and Architecture, published by Hearst Magazines, beginning with the June issue. October Harlan D. Logan, a former Rhodes Scholar and New York University professor, takes over the editorship of Scribner's Magazine; retiring editor, Alfred S. Dashiell, moves to the Reader's Digest. December 29 Scribners announces its plan for the Dictionary of American History, with James Truslow Adams, historian, as editor-in-chief. 1938 January Harlan Logan Associates, Inc., publishes Scribner's Magazine, having acquired the rights from Scribners, which still retains an interest. 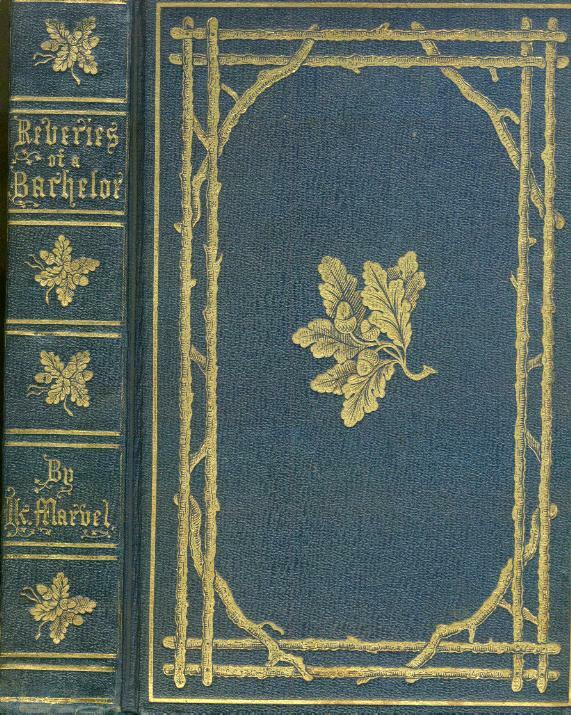 October 1 The Book Buyer, the Scribner periodical begun in 1867, changes form, appearing for the first time as a double-page spread in this issue of The Saturday Review of Literature. March CS III is appointed sponsor for the book and magazine publishing field of advance tickets to the New York World's Fair, one of 60 leaders representing their business and professional fields. May Scribner's Magazine suspends publication with this issue. November Scribner's Magazine merges into the Commentator, becoming Scribner's Commentator. 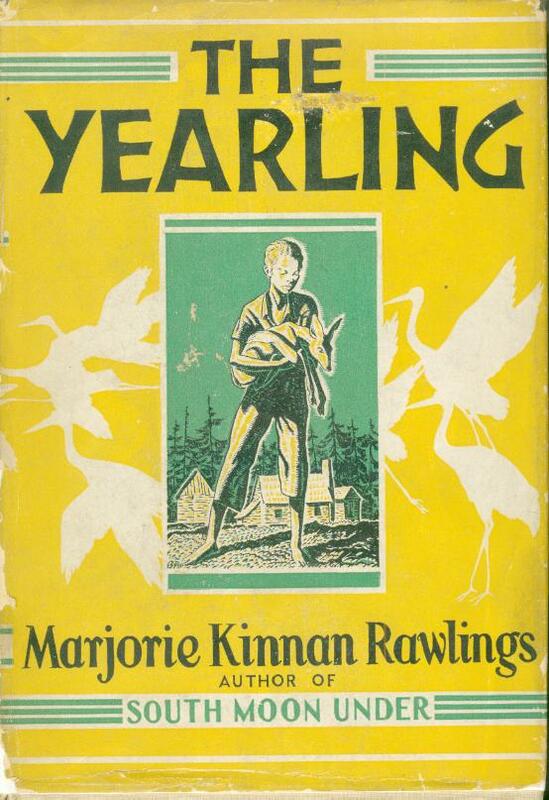 1940 June As World War II begins, Charles Kingsley returns to the States, leaving John Carter in charge of Scribners' London office. July 8 John Carter, manager of Scribners' London branch, presents Britain's prime minister, Sir Winston Churchill, the original manuscript of Arthur Hugh Clough's poem "Say Not the Struggle Nought Availeth," at a ceremony at 10 Downing Street. 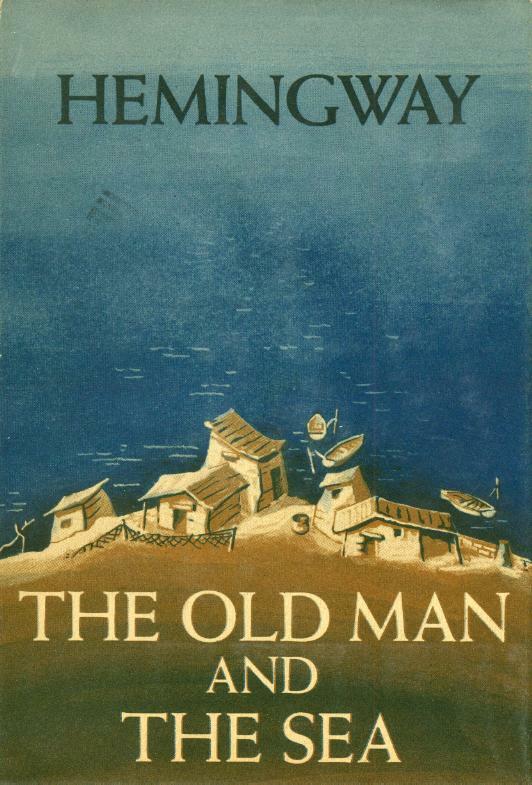 Churchill had quoted the poem in his international broadcast of April 27th, following passage of the Lend-Lease Bill. 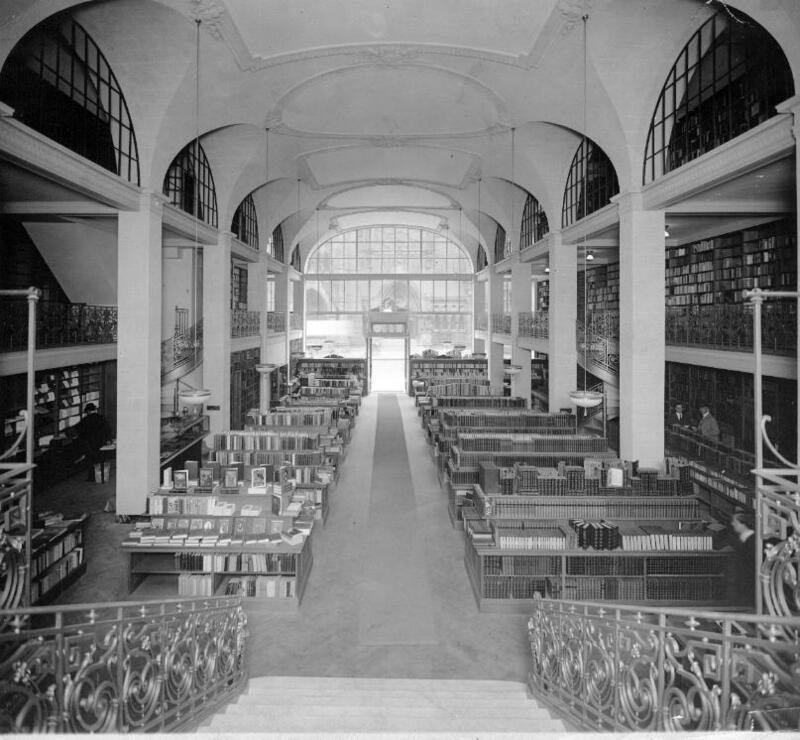 August 1 The Scribner Bookstore in New York City takes over the trademark and business of Technical Books of America. 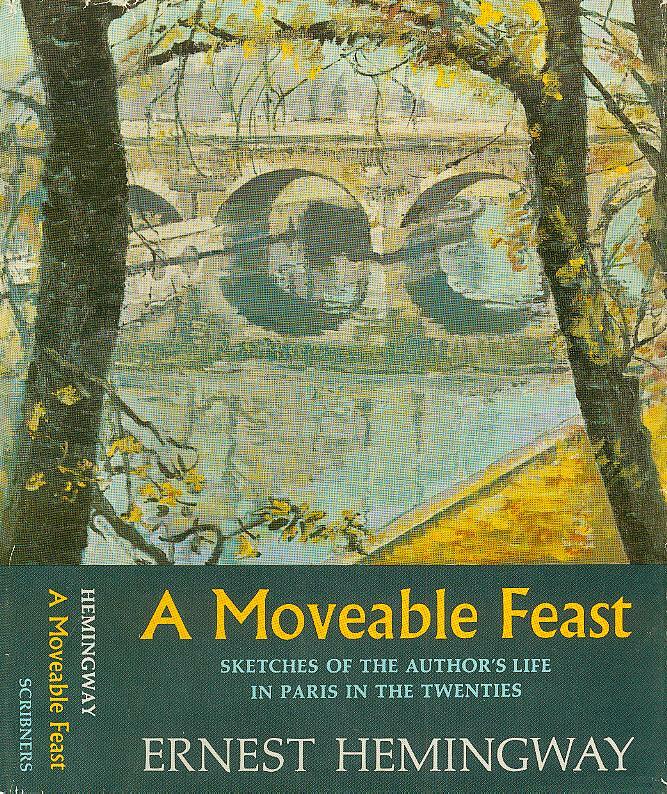 1944 November 28 Scribners becomes part owner of the reprint publishing house of Grosset & Dunlap--with Random House, Harper & Brothers, Little, Brown, and the Book-of-the-Month Club. 1945 January In connection with the firm's 100th anniversary, Scribners offers a $10,000 prize for "the most important and interesting book-length manuscript on any phase of American history from the discovery of America to the present day," submitted between 1 October 1945 and 1 February 1946--won by Allan Nevins's Ordeal of the Union (vols. 1 and 2). 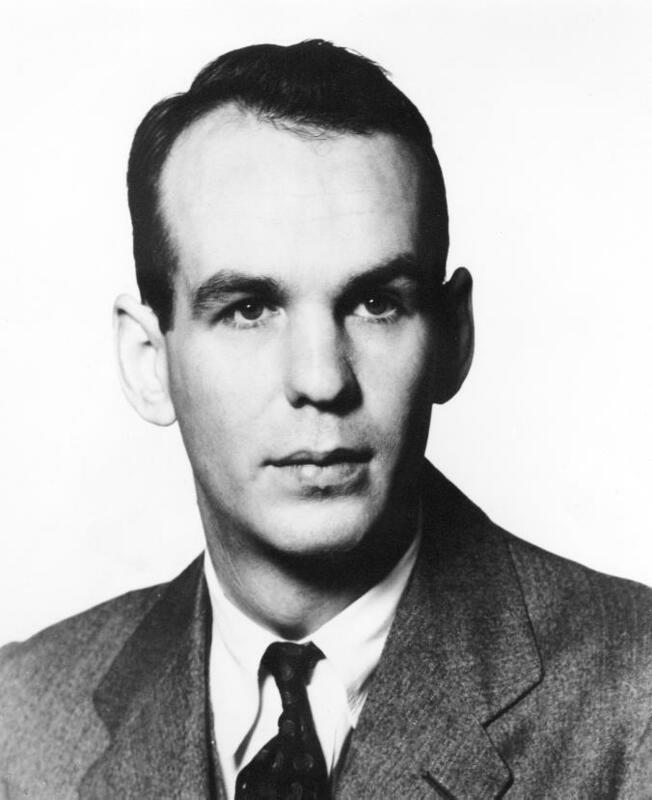 1946 February Burroughs Mitchell, a former associate editor and manuscript reader for the Macmillan Company, joins the editorial staff. September 16 Norman H. Snow, editor-in-chief of Triangle Books, succeeds Whitney Darrow as director of the trade department; Darrow becomes executive vice-president of the firm. October Charles Scribner (CS IV), a graduate of Princeton (Class of 1943) and a cryptanalyst in the navy during World War II, joins the firm, succeeding William C. Weber as director of advertising and publicity. November 7 Princeton University announces gift of $50,000 by Scribners to its new library, the Harvey S. Firestone Library, in memory of previous Scribner family graduates of the University, beginning with the founder, CS I, Class of 1840. 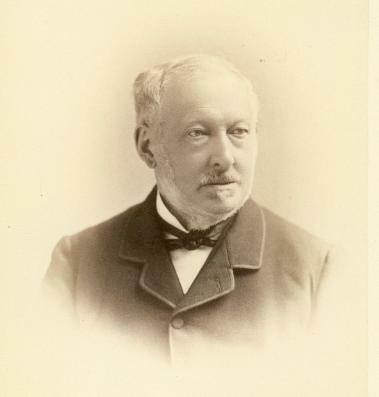 June 30 Edward Thomas Lord, senior vice-president and manager of the Educational Department which he organized in 1893, retires. He is succeeded by Harold C. Cheney. September 2 Harry Brague comes to Scribners from Dodd, Mead as an editor. 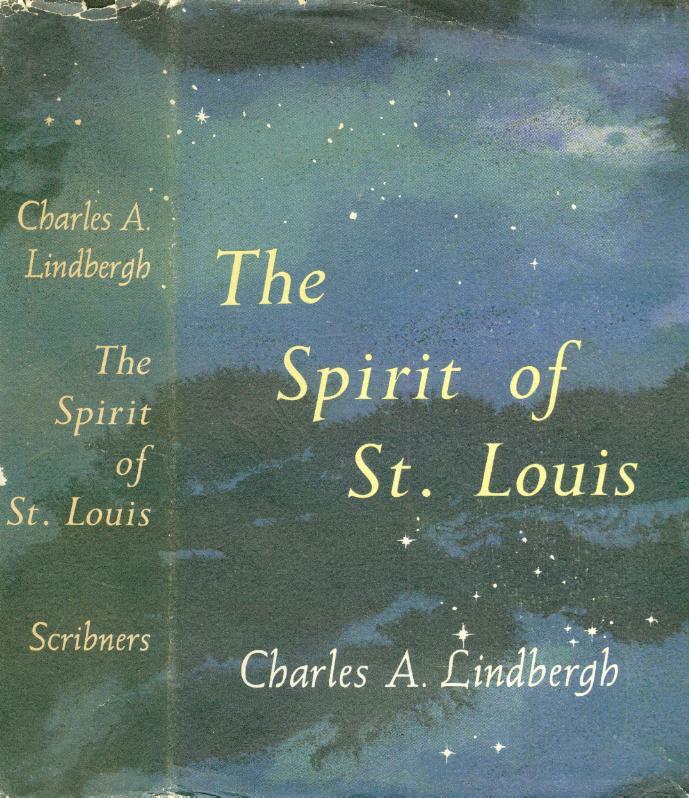 1951 February Scribners' Rare Book Dept. acquires the presumably "lost," Shuckburgh copy of the Gutenberg Bible. April 21 CS IV is elected president of Scribners. 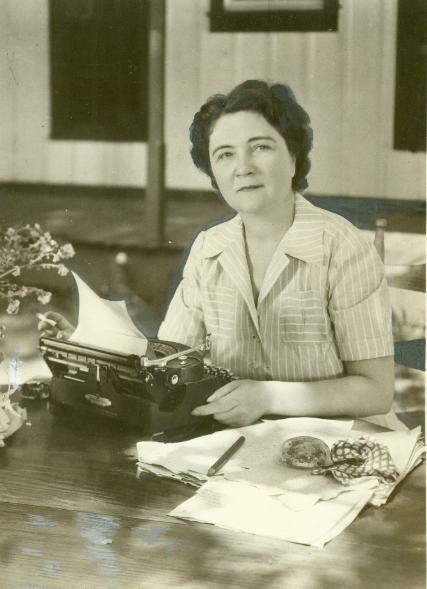 1953 April Elinor Parker, assistant manager of the Scribner Bookstore, joins the editorial department. 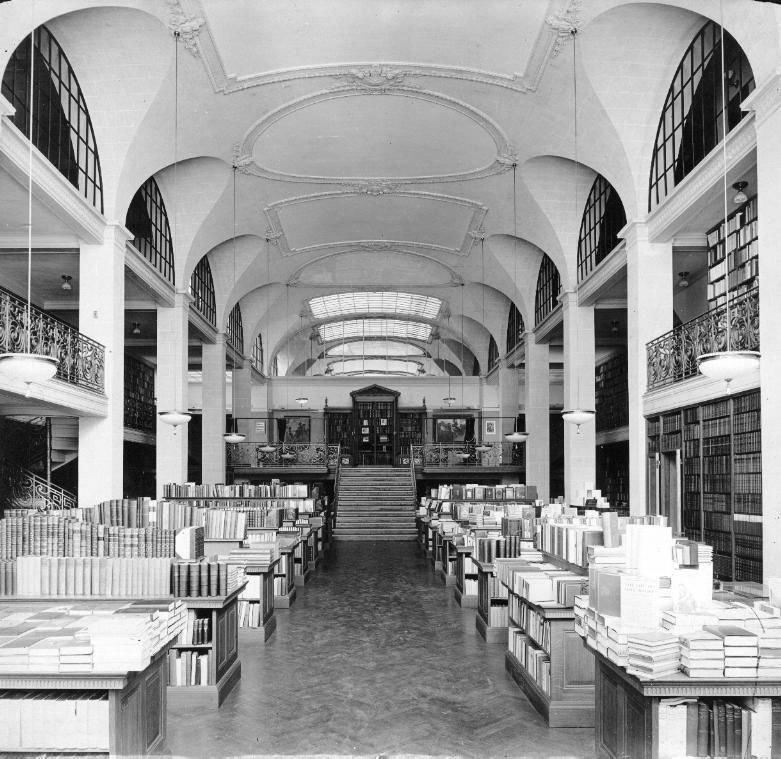 From 1938 to 1944, she had been head of the Bookstore's children's department. June The three Scribner Bookstore windows are redesigned "to take the curse off the cathedral-like atmosphere of the store": new eggcrate lighting, reduced height, and yellow three-panel pegboards. 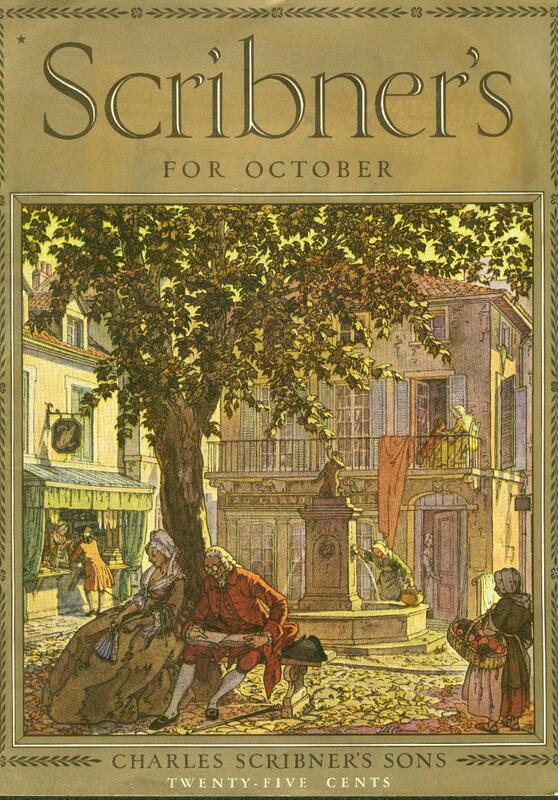 November Charles Scribner's Sons, Ltd. (London), discontinues operations as an editorial and rare book purchasing agency for Scribners (New York). 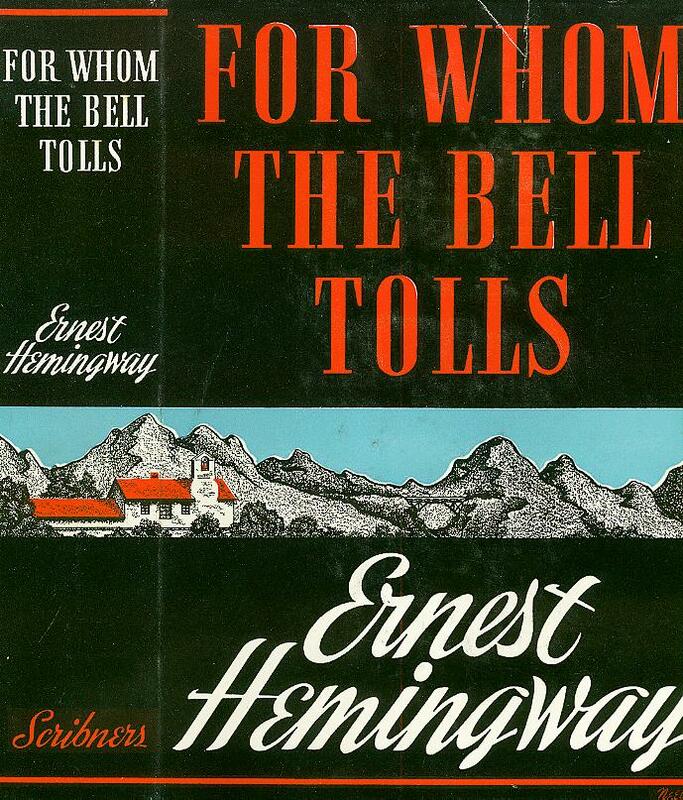 October 28 Ernest Hemingway wins the 1954 Nobel Prize in Literature. April 5 Scribners announces its decision to discontinue the operation of the Scribner Press. May Scribners opens its new billing and shipping center in 50,000 square feet of leased space in Belleville, N.J.
July The Scribner Building at 311-319 West 43rd St. is sold. Fall The Scribner Bookstore is thoroughly renovated in September and October, including the addition of a Scribner Young Readers' Bookshop, an expanded stationery dept., and the removal of the back walls of the Fifth Avenue display windows. September 15 Scribners reissues the 26 titles in the Scribner Illustrated Classics series in newly-designed, full-color book jackets. 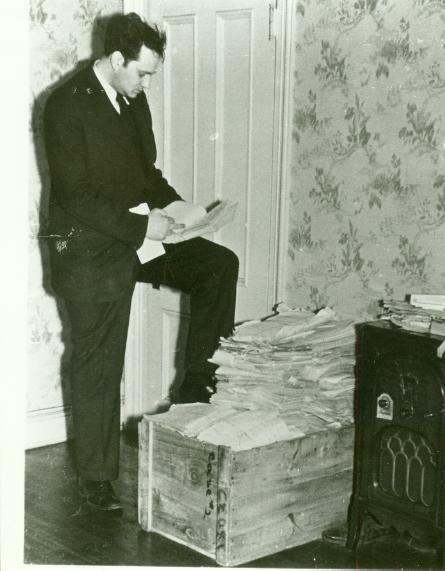 1956 February Whitney Darrow retires after nearly forty years with the firm, most recently as a director. 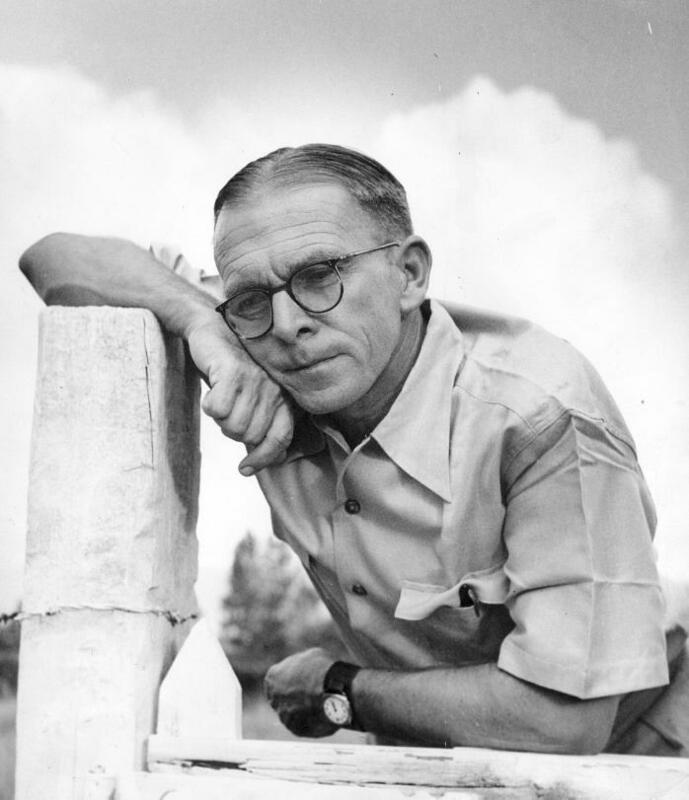 1957 January 31 Senior editor John Hall Wheelock retires, devoting himself full-time to his career as a poet. He would win the Bollingen Prize in 1962. December CS IV is elected president of the Princeton University Press. 1958 January 31 Wallace Meyer retires, after 30 years as editor. 1959 April Scribners divests itself of its share of Grosset & Dunlap, Inc., the reprint paperback publisher. February Scribners moves its warehouse and shipping facilities to the Book Warehouse, Inc., in Totowa, N.J., a modern warehouse and distribution center partially owned by the company and the Scribner family. 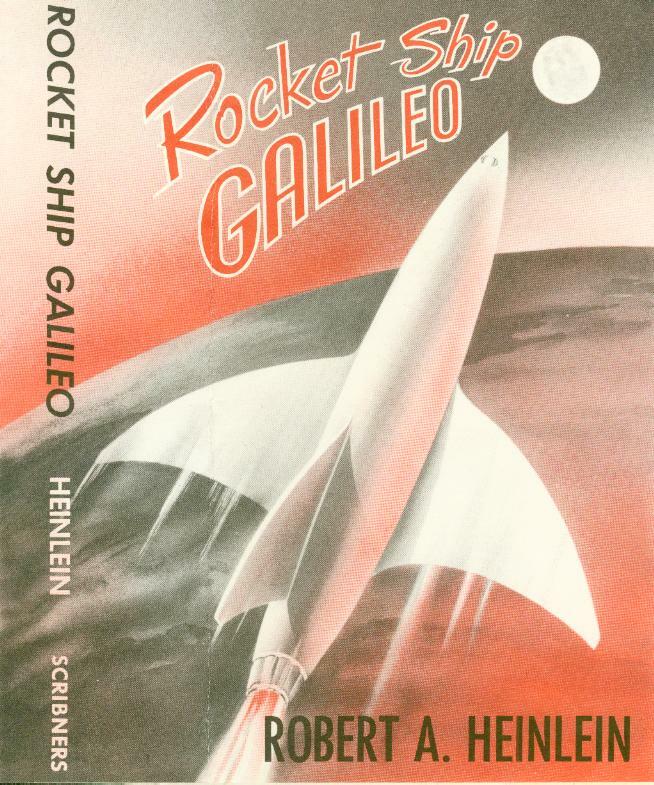 February 15 First 21 titles in the Scribner Library (paperbacks) are published. 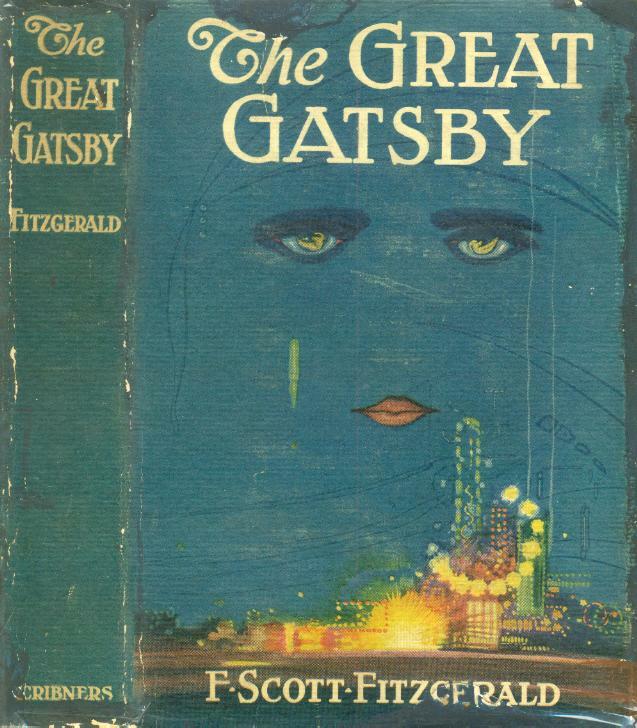 Title #1 (i.e., SL 1) is F. Scott Fitzgerald's The Great Gatsby. 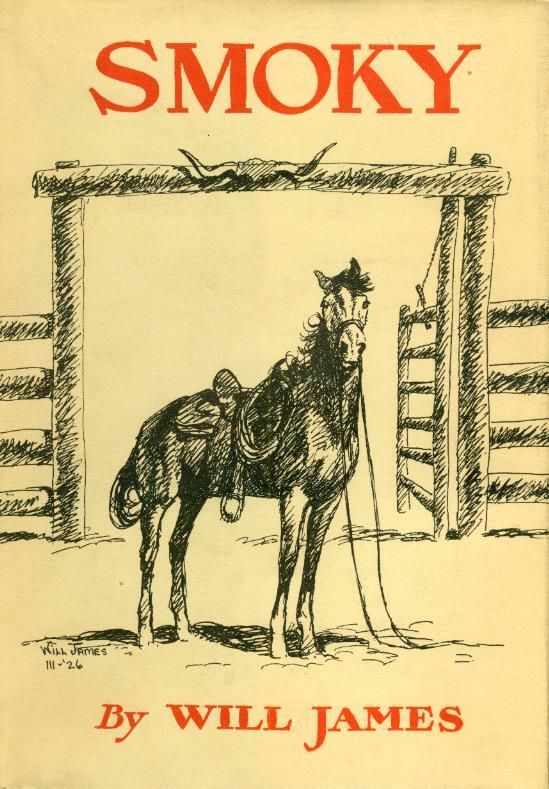 November Bobbs-Merrill acquires the elementary school publications of Scribners. 1962 February The Scribner Building at 597 Fifth Avenue is classified as a "Landmark of New York" by the New York Community Trust. April 9 publication date of Robert Creeley's first Scribner book, For Love: Poems 1950-1960, one of the first three books also issued in paperback as "Scribner First Editions"
1963 December Scribners establishes a new science book dept. under the direction of Kenneth Heuer. 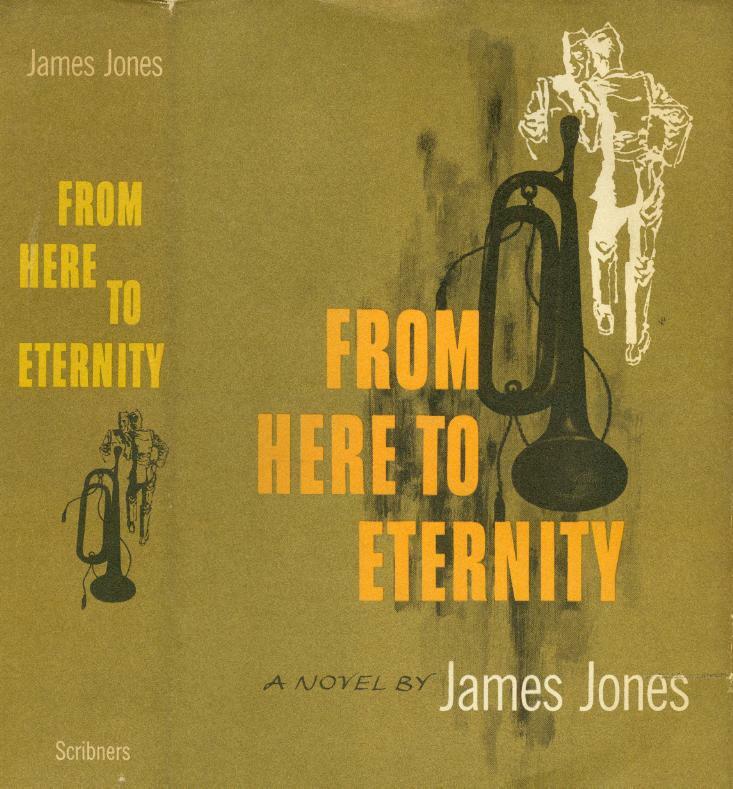 1964 March Scribners establishes a new reference book dept. under the direction of Jacek M. Galazka, incoporating its subscription dept. 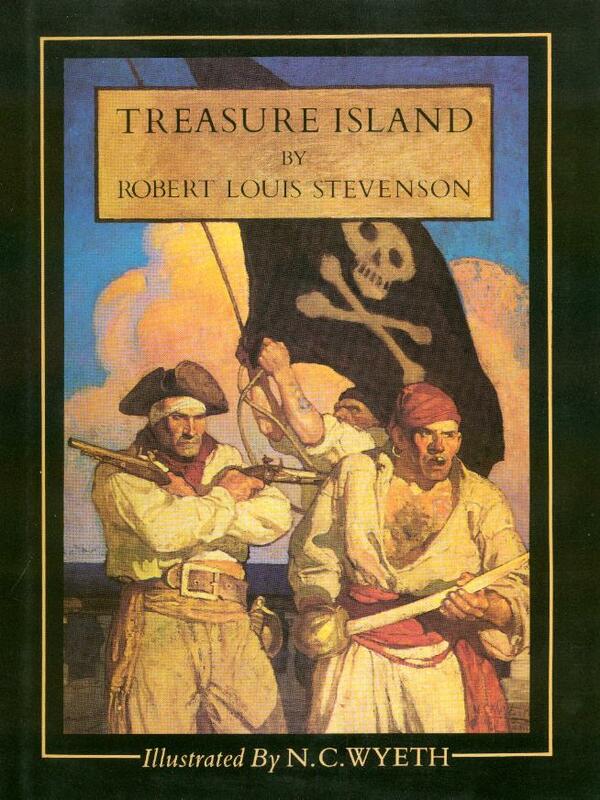 June Scribners establishes a new trade history book dept. 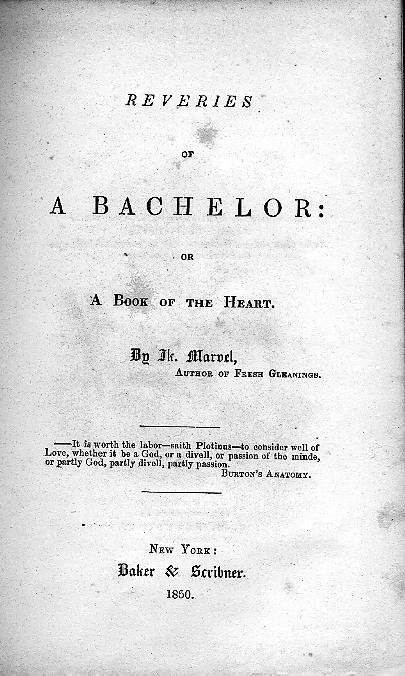 under the direction of Joseph G. E. Hopkins. 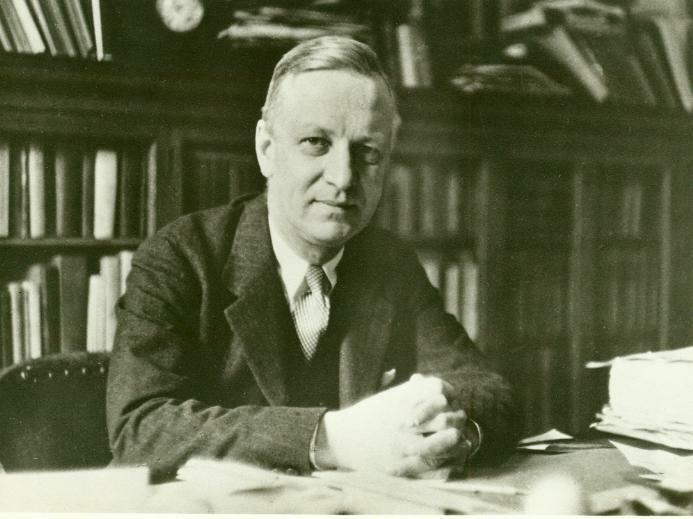 1965 February 23 Scribners announces its plan to publish the Dictionary of Scientific Biography under the auspices of the American Council of Learned Societies--Charles Coulston Gillispie, professor of history of Science at Princeton University, to serve as editor-in-chief. 1966 May 25 CS IV is elected president of the American Book Publishers Council. June 14 CS IV is awarded an honorary degree from Princeton University. 1967 January 24 By deed of gift of selected authors' correspondence, Scribners establishes its archives at Princeton University, making it available for research. The official presentation ceremony is held at Princeton on March 30th. April Scribners outlines its plan for the Dictionary of the History of Ideas--Philip P. Wiener, editor of the Journal of the History of Ideas, to serve as executive editor. 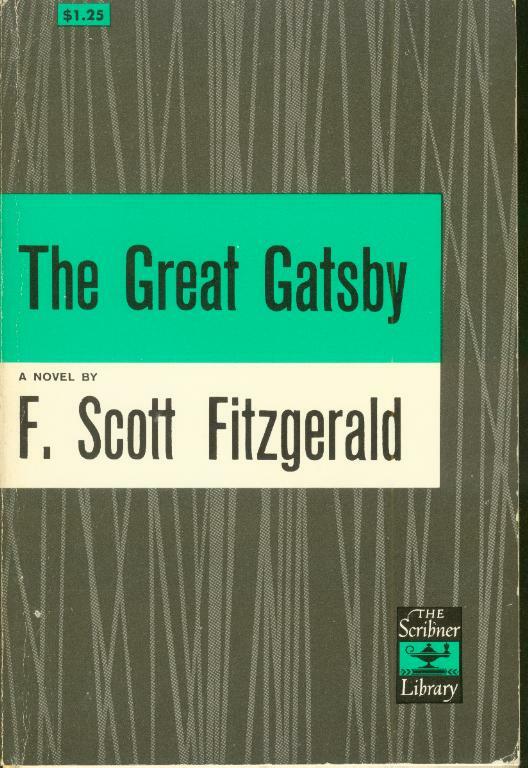 July Scribners forms an Education Division, which will include the firm's college and school depts., to promote and sell the Scribner Library paperback series. 1969 January Scribners acquires the assets of the Coleman-Ross Company, Inc., a music publisher. August 1 Scribners incorporates its bookstore, formerly a department of the firm, as a separate company under the name of "Scribner Book Stores, Inc."
spring Scribner Book Stores, Inc., opens its first branch bookstore, at the invitation of Colonial Williamsburg, Virginia, in the town's Merchant Square. 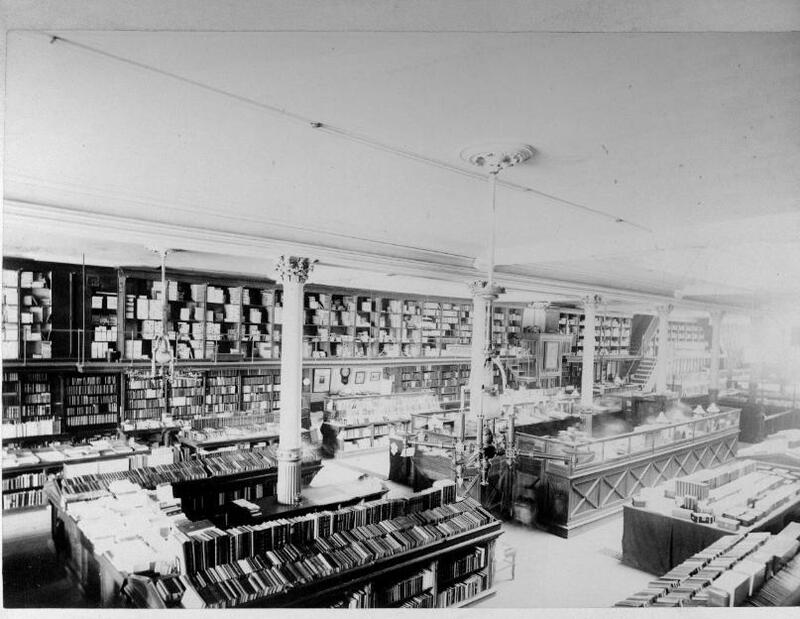 1974 July 1 Scribner Book Stores, Inc., opens a branch bookstore in Denver, Colorado. 1975 January 8 Scribners announces the appointment of Jacques Barzun, former provost of Columbia University and professor of modern cultural history, as literary consultant to the firm. June 30 Charles Scribner III (CS V), a graduate of Princeton (B.A., 1973; M.F.A., 1975; PhD., 1977), joins the family publishing firm. 1976 May 4 CS IV accepts the first Curtis G. Benjamin Award for Creative Publishing, given by the Association of American Publishers at its annual meeting. 1977 January Editor-in-chief Burroughs Mitchell retires after thirty years with the firm. 1978 July 31 Charles Scribner's Sons and Atheneum Publishers announce plans to merge early in the fall, each firm operating as a separate division in the new company, The Scribner Book Companies, while preserving its independent imprint. CS IV will be chairman, Alfred Knopf, Jr., vice-chairman, and Franklyn L. Rodgers, president. 1980 April 30 Elinor Parker, an editor since 1953 and the firm's first woman vice-president, retires after more than forty years with Scribners. 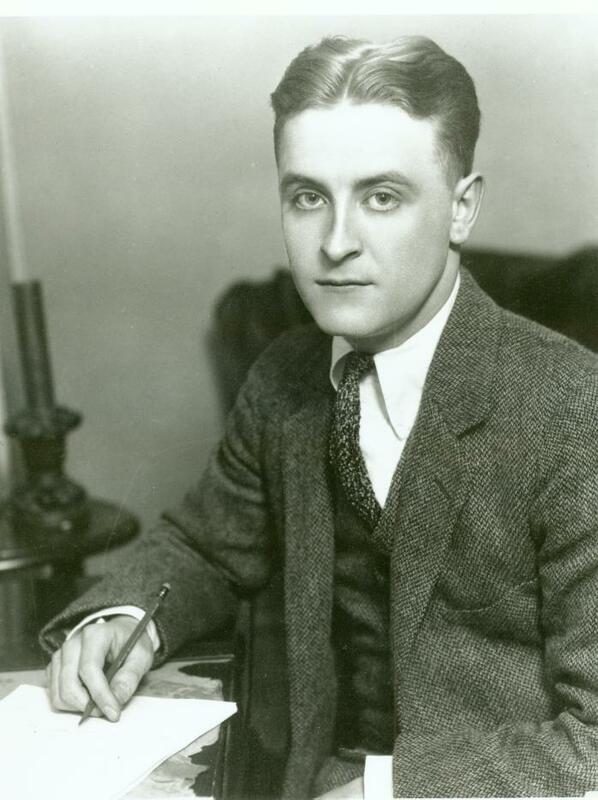 March Scribners offers two new literary prizes--the Maxwell Perkins Prize of $10,000 for a first novel about the American experience and the Scribner Crime Novel Award of $7,500 for a first mystery--with a deadline of September 30th. Winners are Margaret Mitchell Dukore for A Novel Called Heritage and Carol Clemeau for The Ariadne Clue. November CS V is named head of the firm's new paperback division. 1982 January 1 Rawson, Wade Publishers, Inc., joins the Scribner Book Companies as a new division, Rawson Associates, with Kenneth Rawson as president. March 23 The New York City Landmarks Preservation Committee designates the Scribner Building at 597 Fifth Avenue as a city landmark. November 1 Leisure Press, a publisher of sports, recreation, and physical fitness titles, becomes a division, Leisure Publications, of the Scribner Book Companies. 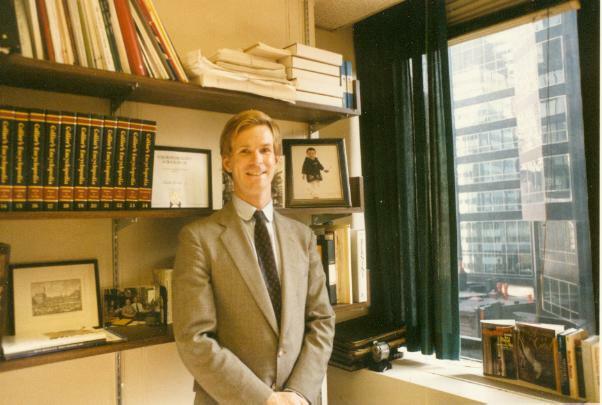 1983 March Franklin L. Rodgers leaves Scribners to assume presidency of Warner Publishing Services; CS IV becomes acting president of the Scribner Book Companies. May Jacek M. Galazka becomes president of Charles Scribner's Sons. 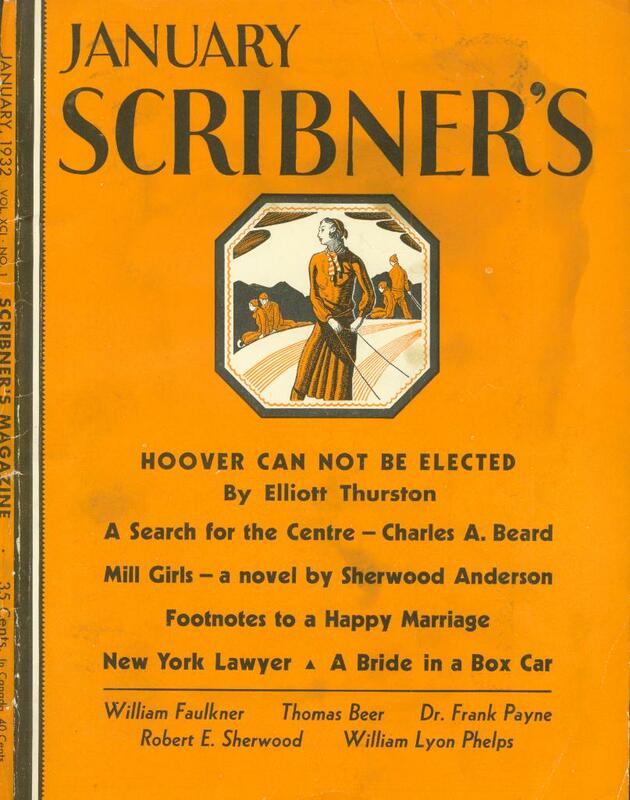 May CS V becomes executive vice-president and secretary of the Scribner Book Companies. July Allen M. Rabinowitz becomes treasurer of the Scribner Book Companies, and president, later, during merger negotiations with Macmillan, Inc.
1984 May 31 The Scribner Book Companies merge with Macmillan, Inc., becoming an independent subsidiary while continuing the imprints of Charles Scribner's Sons, Atheneum, and Rawson Associates. August The Scribner family completes the sale of the Scribner Building at 597 Fifth Avenue to the Cohen family, owners of the Duane Reade Corporation. November CS V becomes a vice-president of the Macmillan Publishing Company. 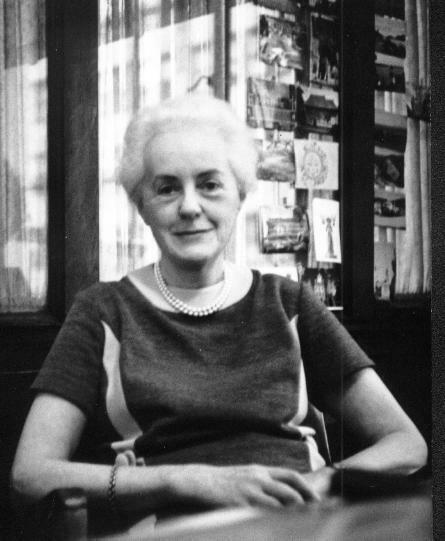 December Rizzoli International Bookstores buys Scribner Book Stores, Inc.
1985 March 4 Mildred Marmur becomes president and publisher of the Charles Scribner's Sons adult trade books division under Macmillan. July CS IV retires as chairman of the Scribner Book Companies. 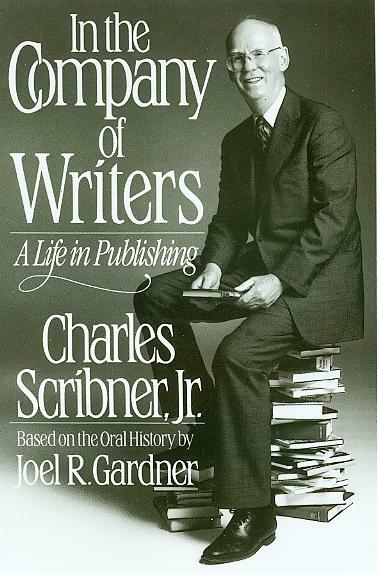 1988 April 20 Robert Stewart is appointed publisher of Charles Scribner's Sons adult trade books; he also retains the title of editor-in-chief. November 4 Robert Maxwell's Maxwell Communication Corporation acquires Macmillan, Inc.
1989 January 22 The Scribner Bookstore, a literary landmark since 1913 at 597 Fifth Avenue, closes. 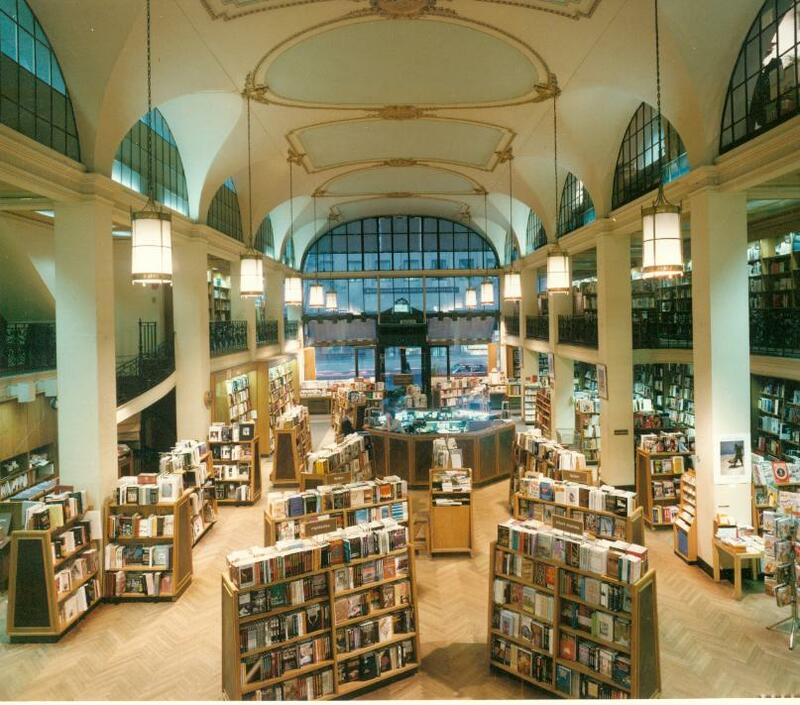 January Barnes & Noble acquires Scribner Book Stores, Inc., from Rizzoli International Bookstores. June Karen Day becomes publisher of Charles Scribner Son's Reference Books, the first woman to head that division. 1990 January 29 Barbara Grossman becomes publisher of Charles Scribner's Sons adult trade books. 1994 February 28 Paramount Communications, Inc., completes its acquisition of the Macmillan Publishing Company from the bankrupt Maxwell Communication Corporation. March Viacom, Inc., wins takeover war for Paramount Communications, Inc.
May Viacom revives the name of "Simon & Schuster" for its worldwide publishing operations. 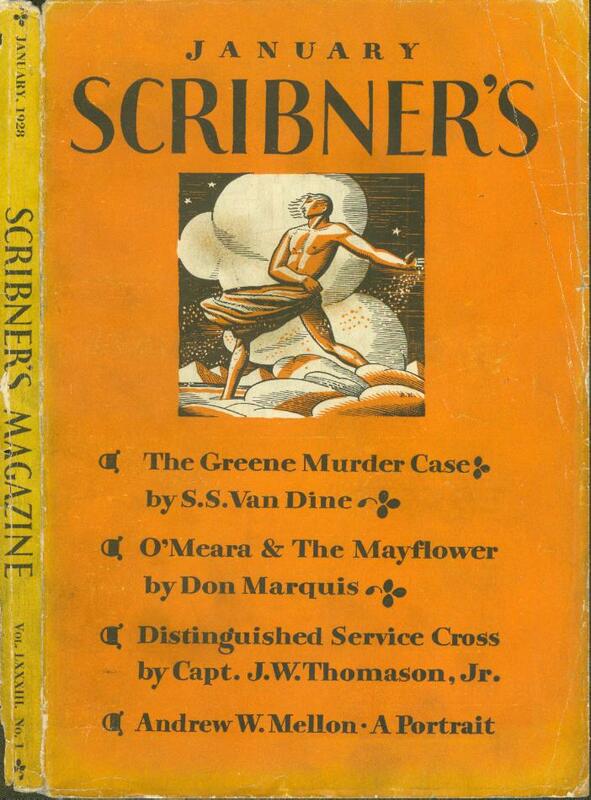 June 13 Susan Moldow becomes publisher of "Scribner" (new name without "s") adult trade books under Simon & Schuster. 1995 February Scribner Paperback Fiction, an independent series for classics and contemporary fiction, is launched with five titles. 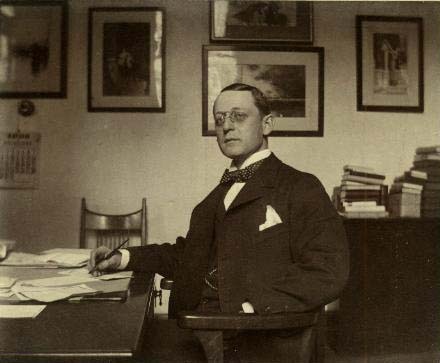 October 13 "The Company of Writers: Charles Scribner's Sons, 1846-1996," an exhibition honoring the firm's sesquicentennial, opens at Princeton University Library.